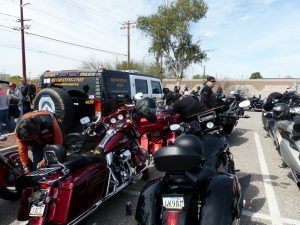 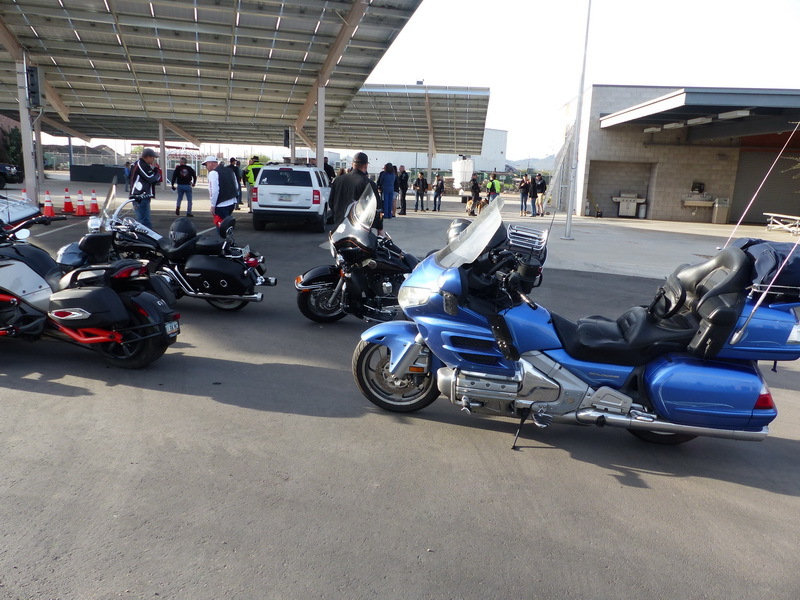 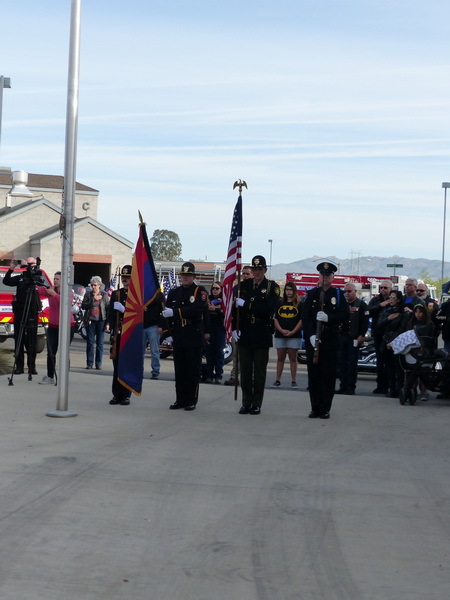 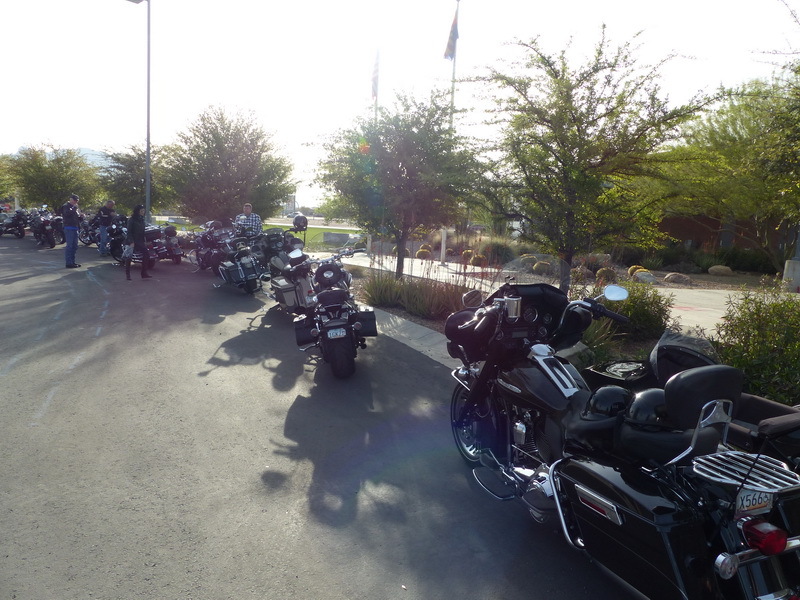 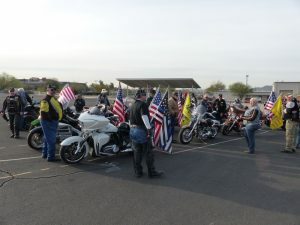 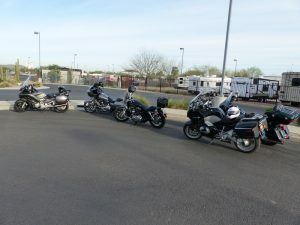 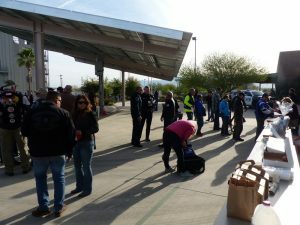 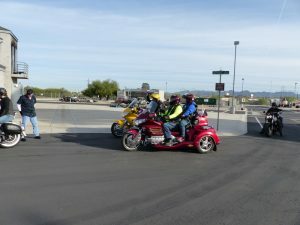 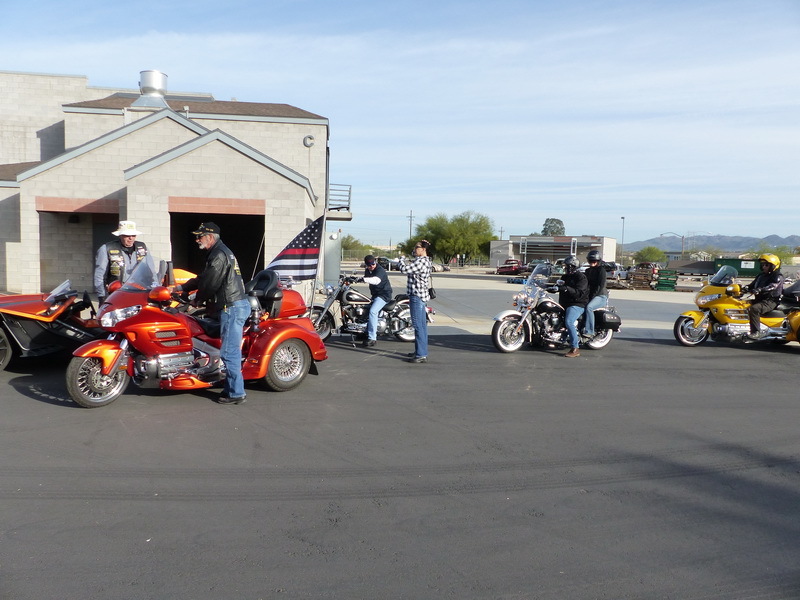 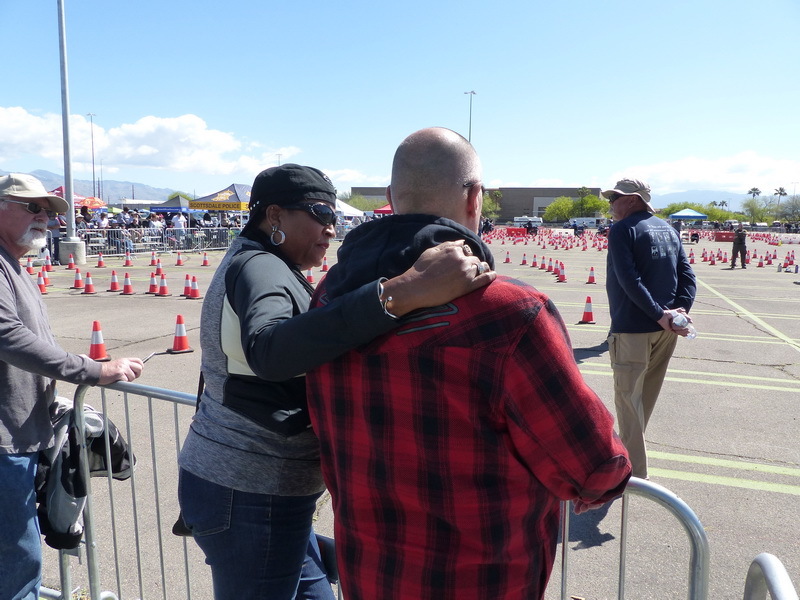 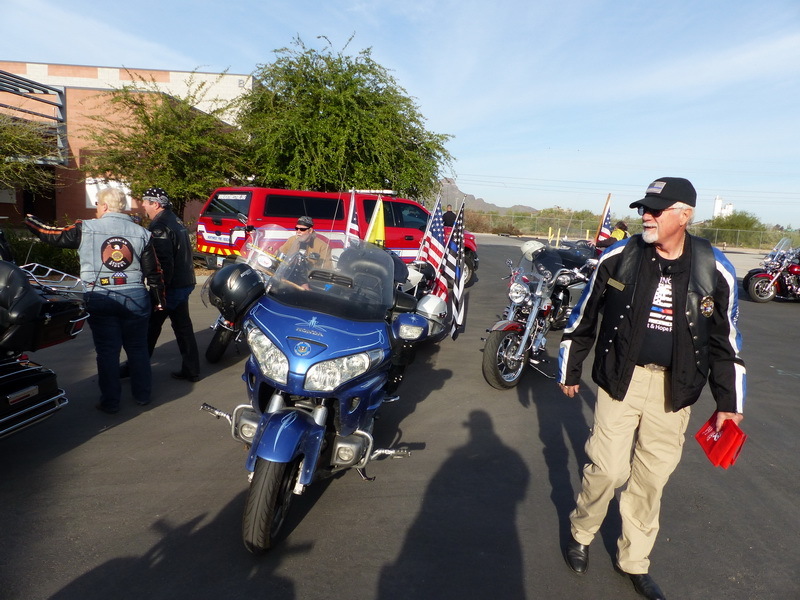 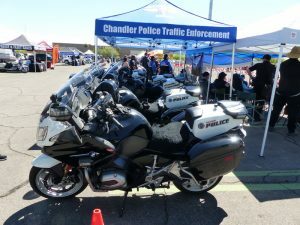 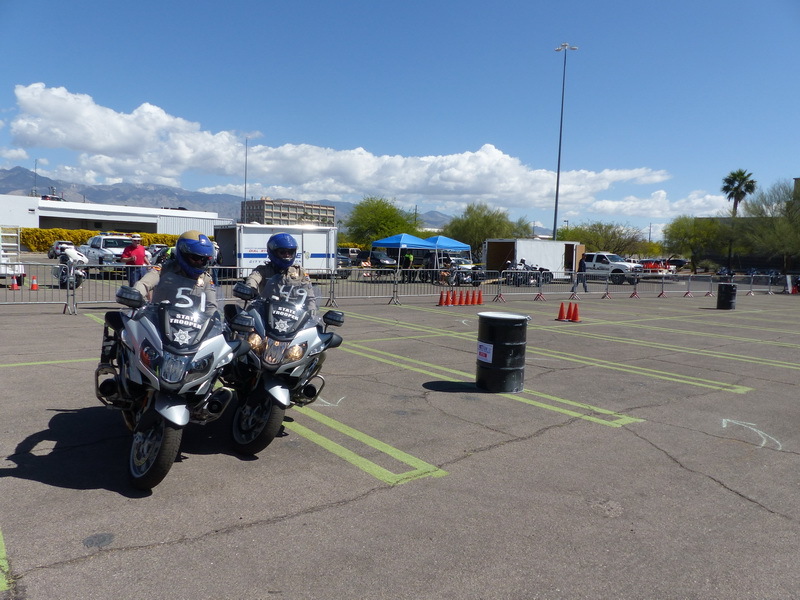 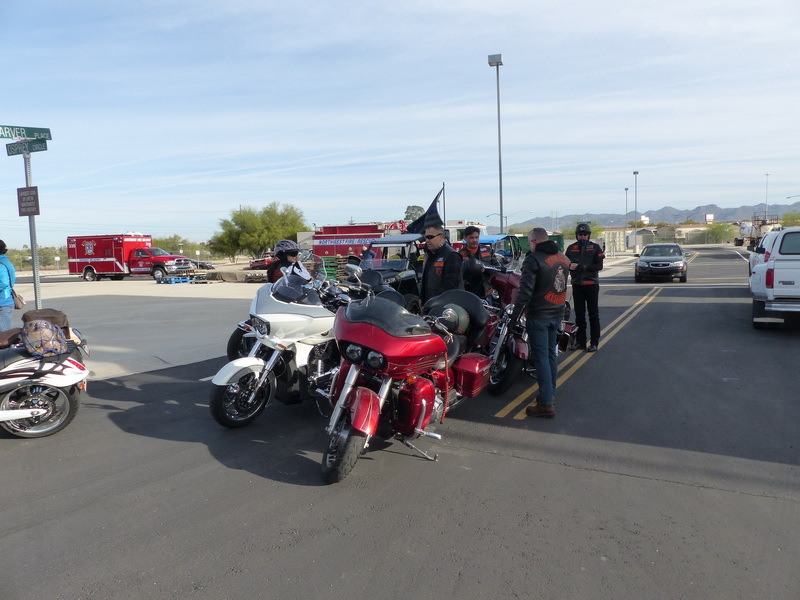 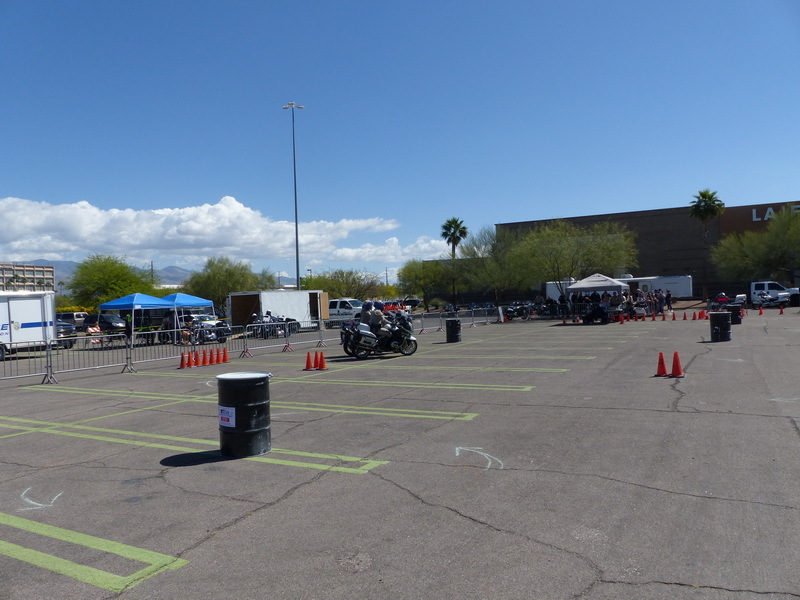 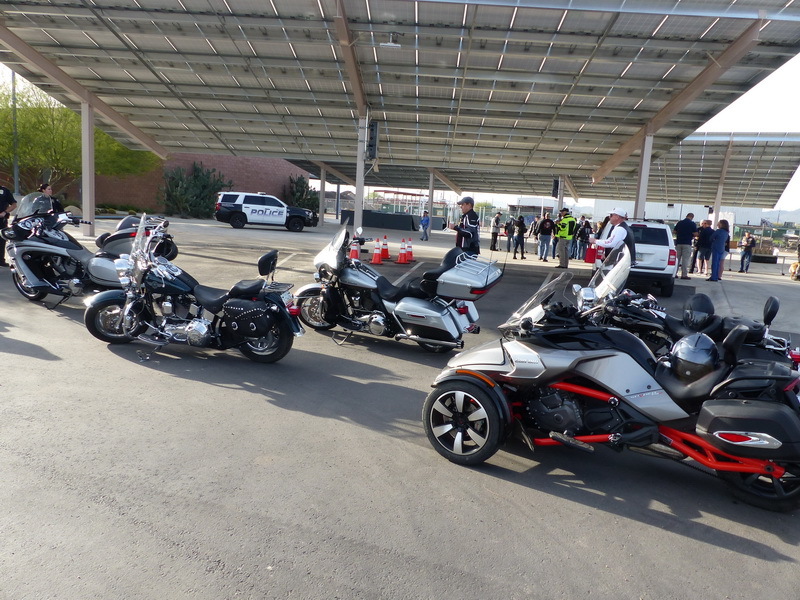 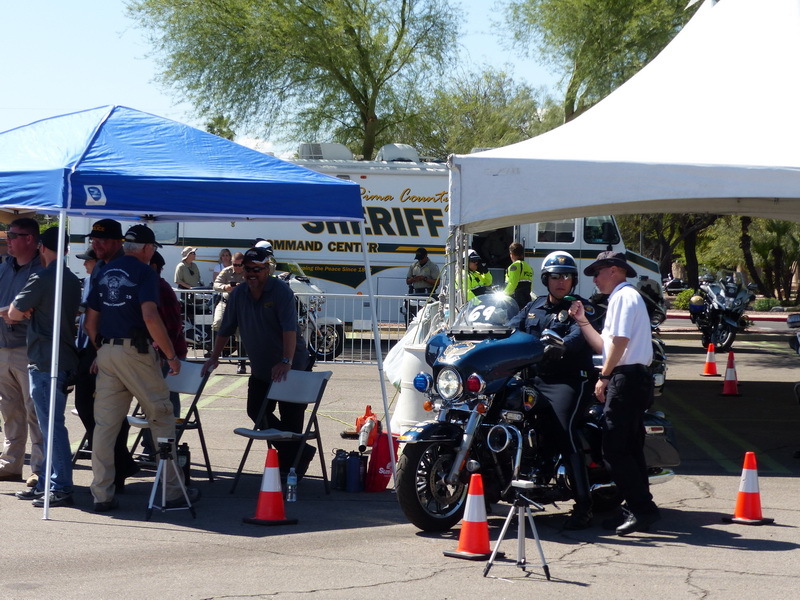 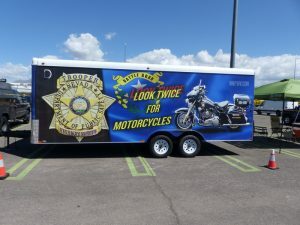 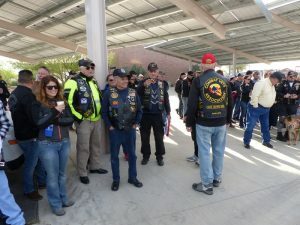 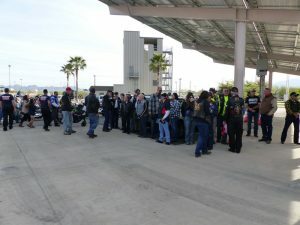 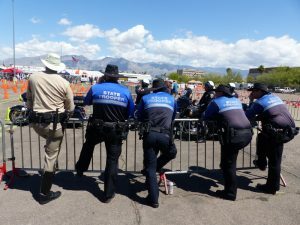 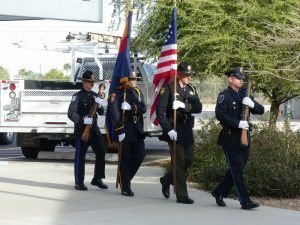 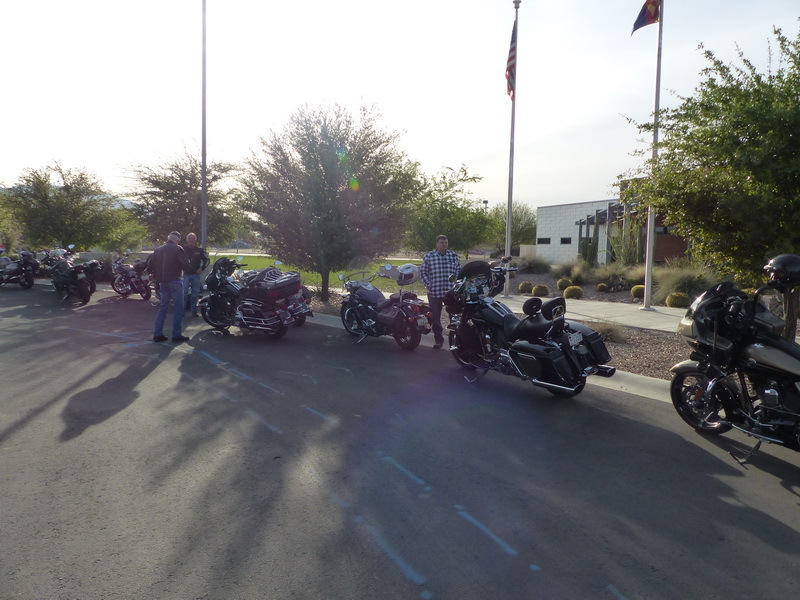 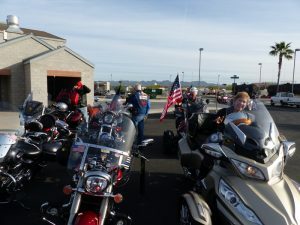 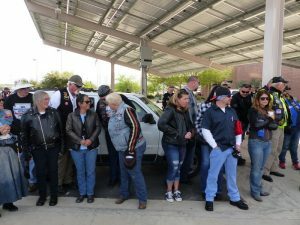 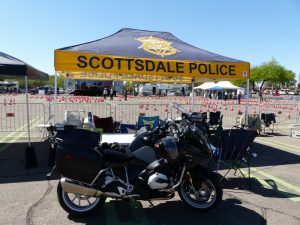 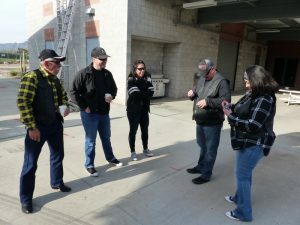 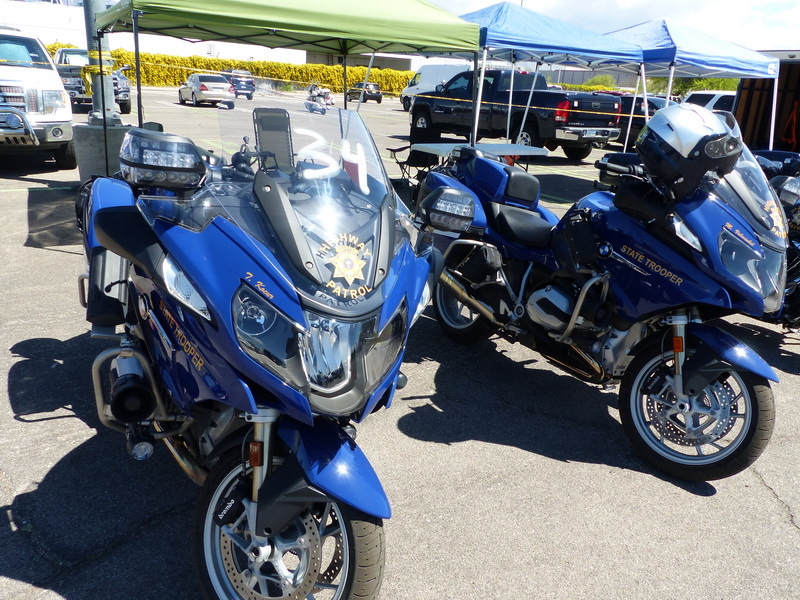 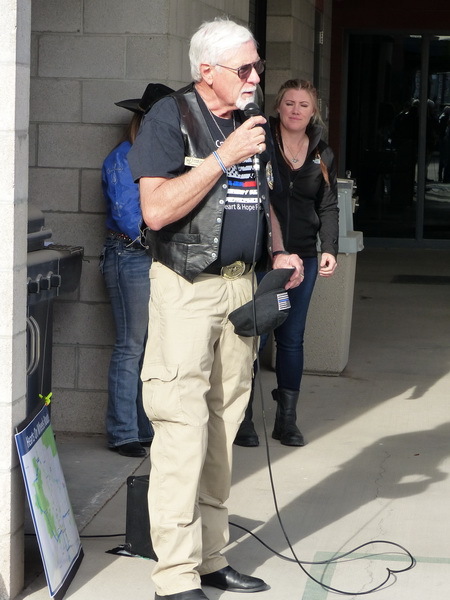 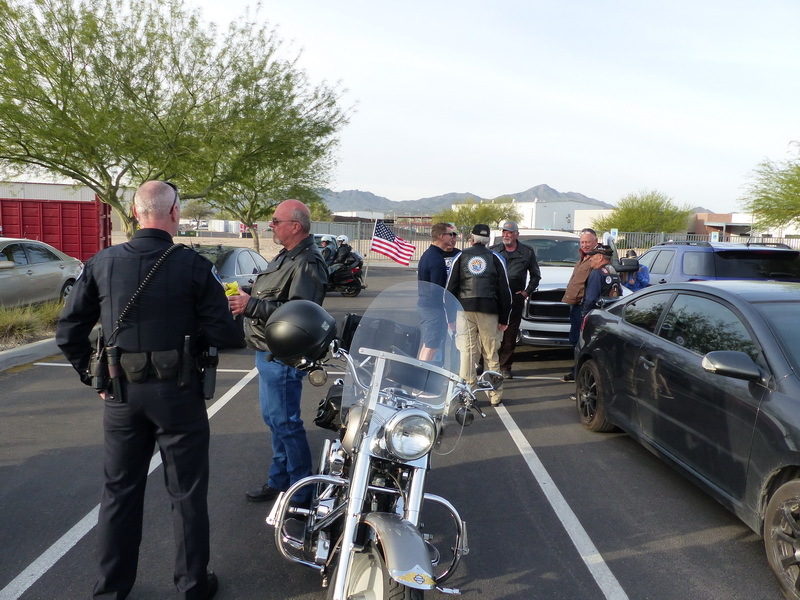 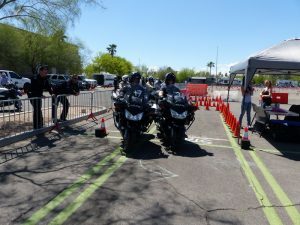 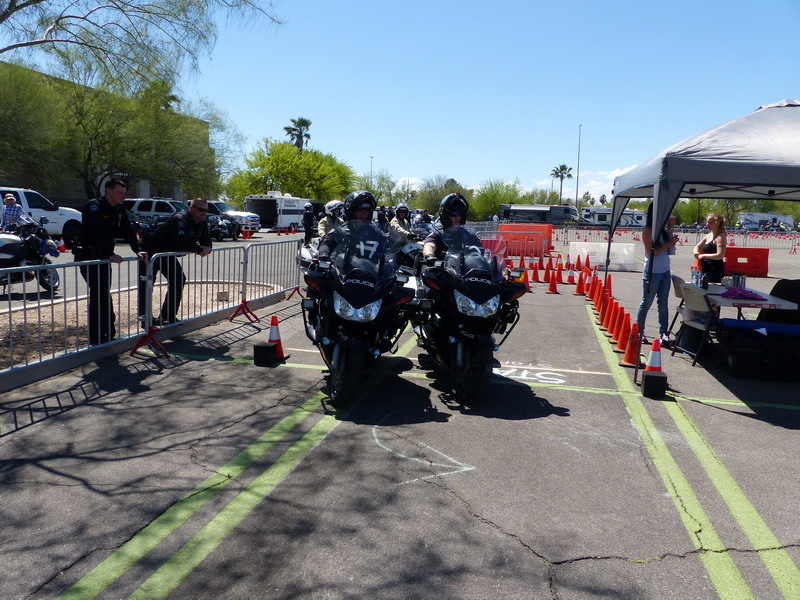 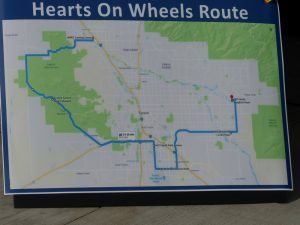 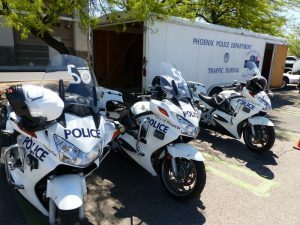 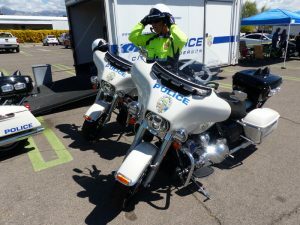 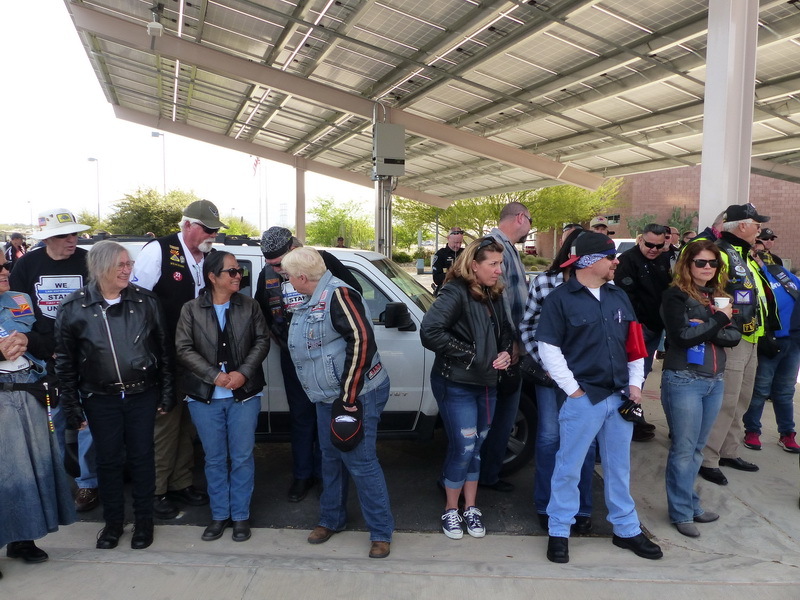 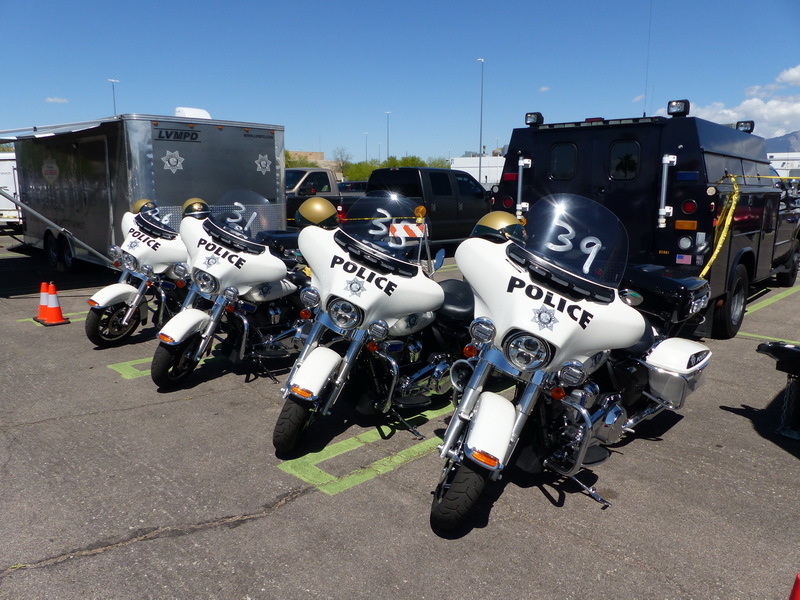 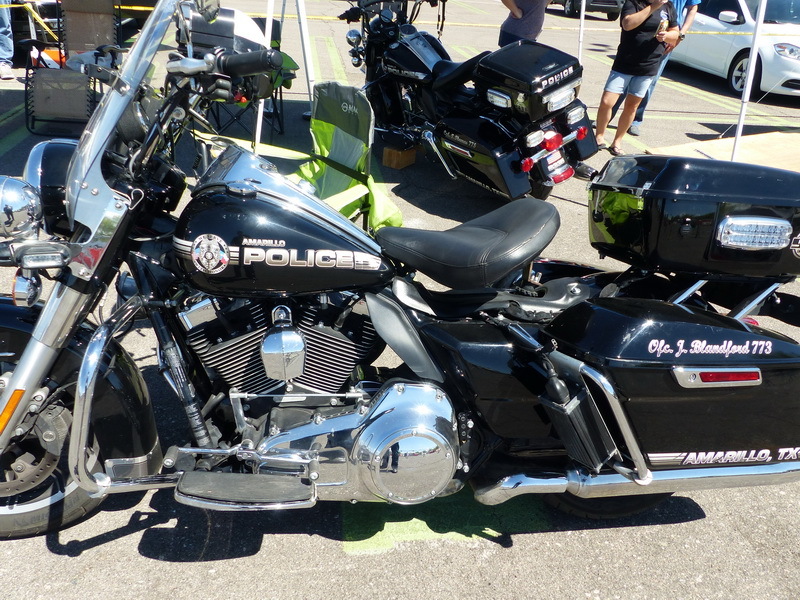 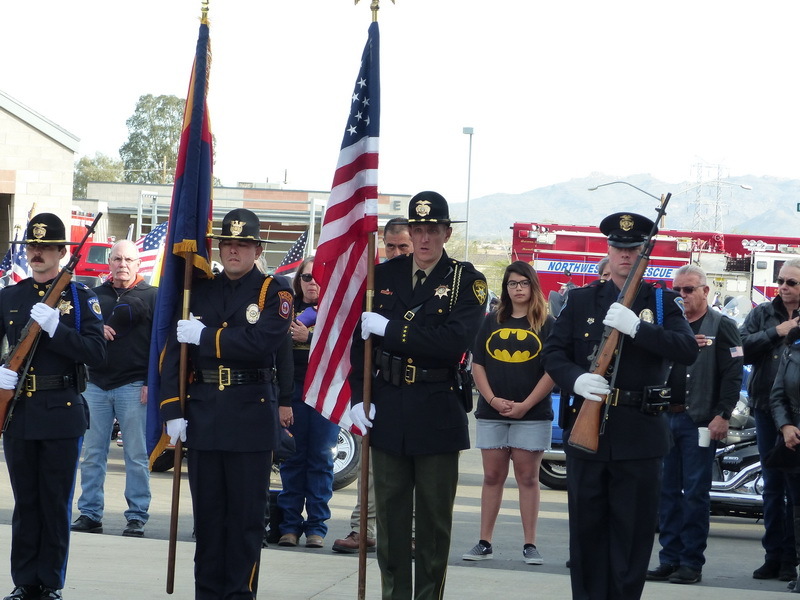 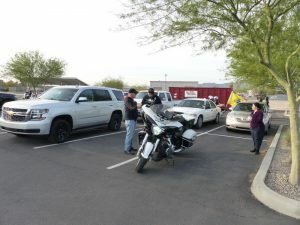 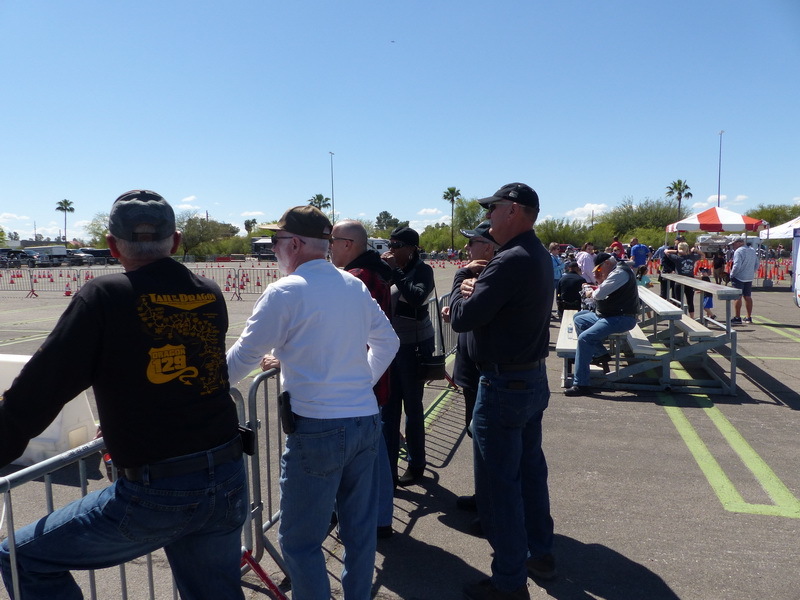 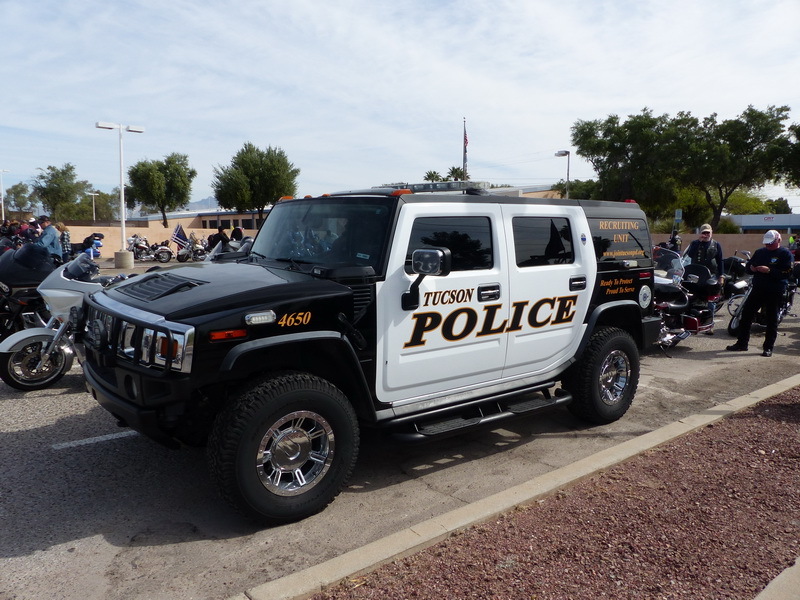 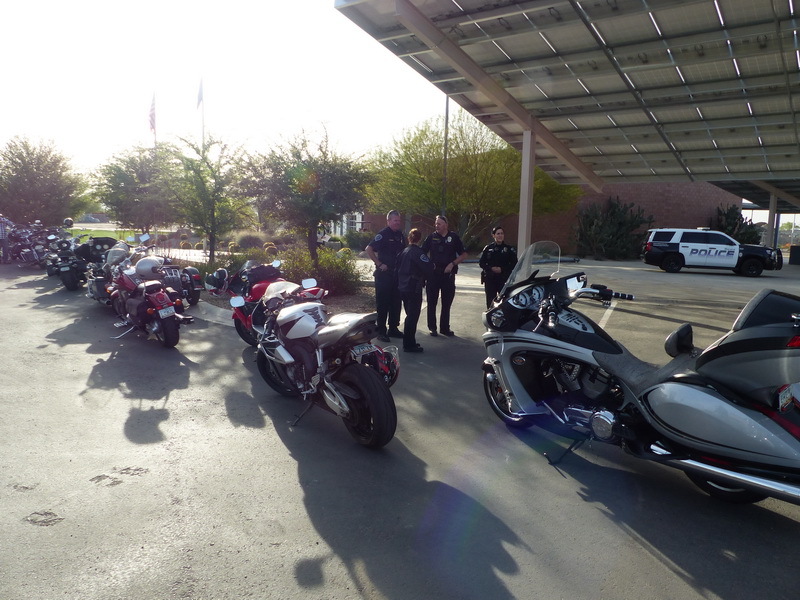 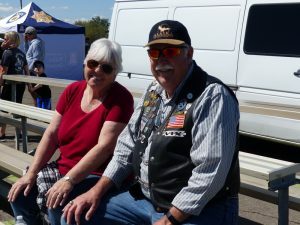 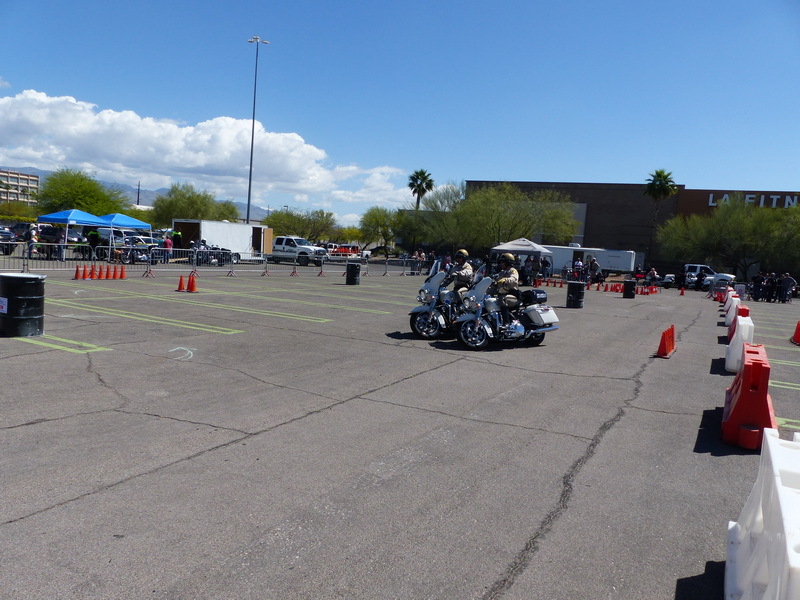 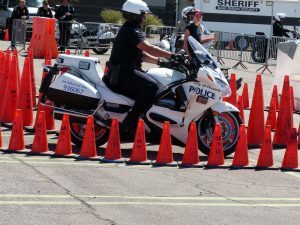 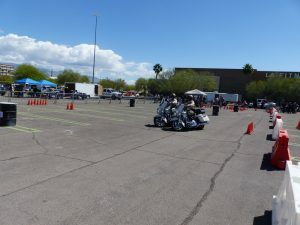 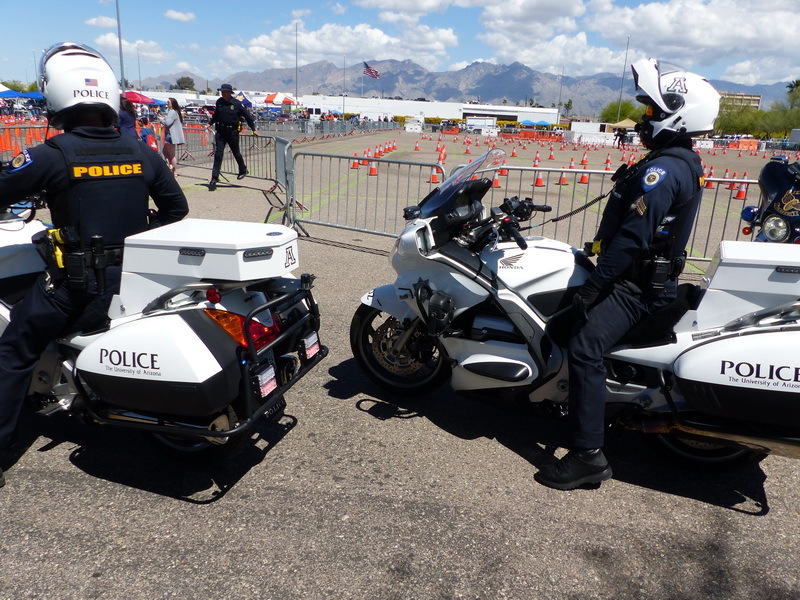 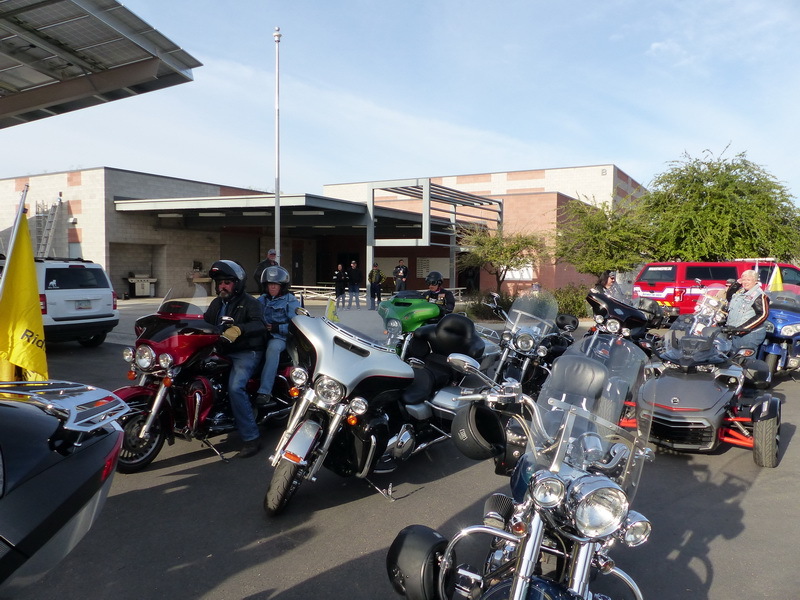 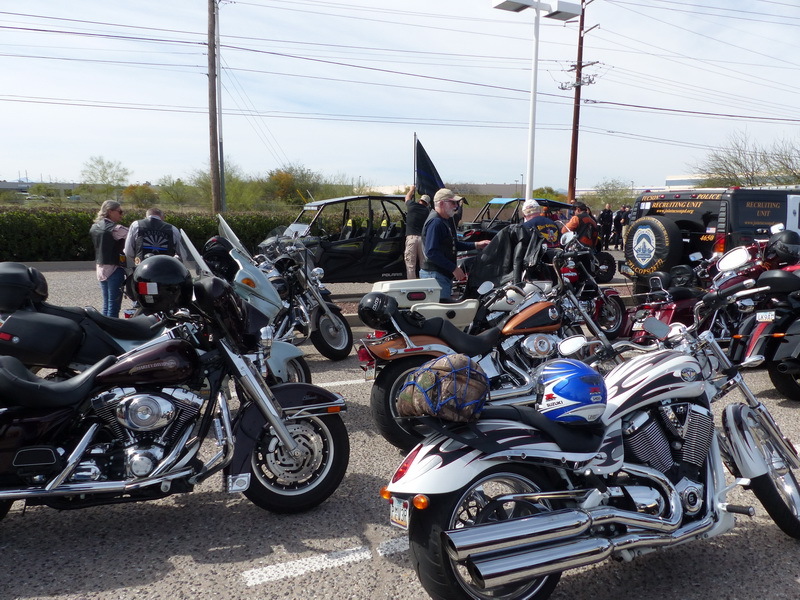 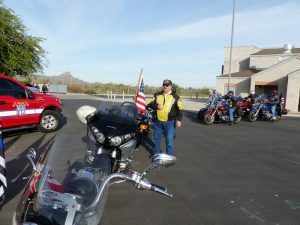 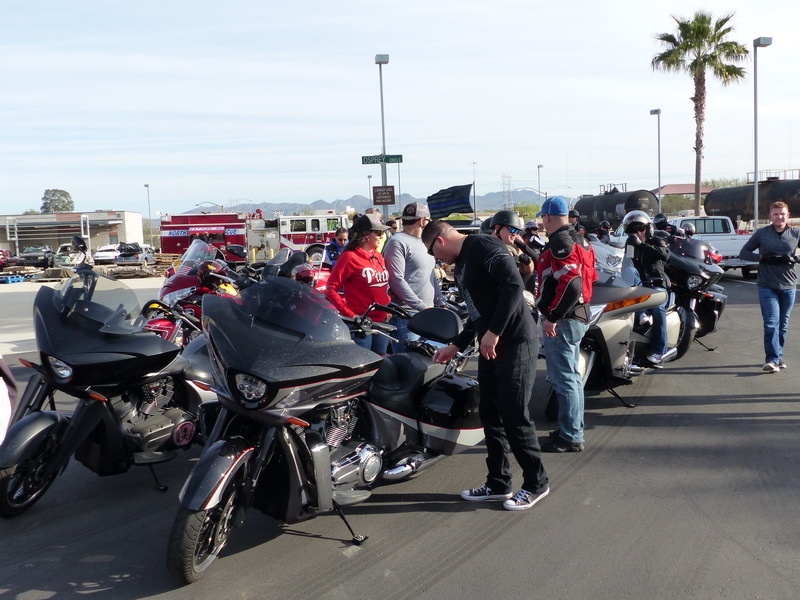 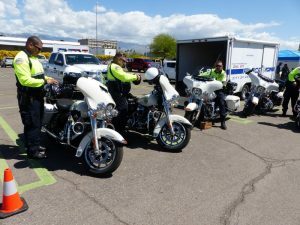 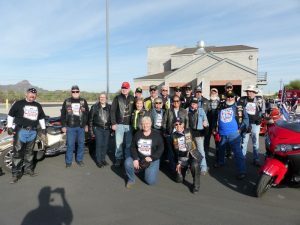 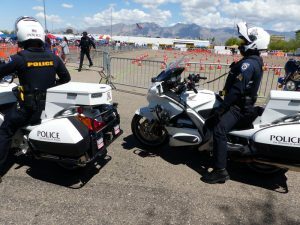 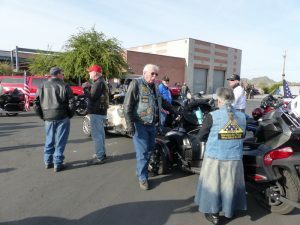 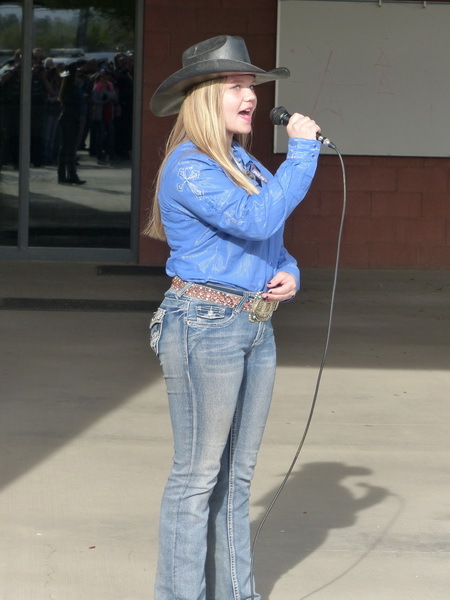 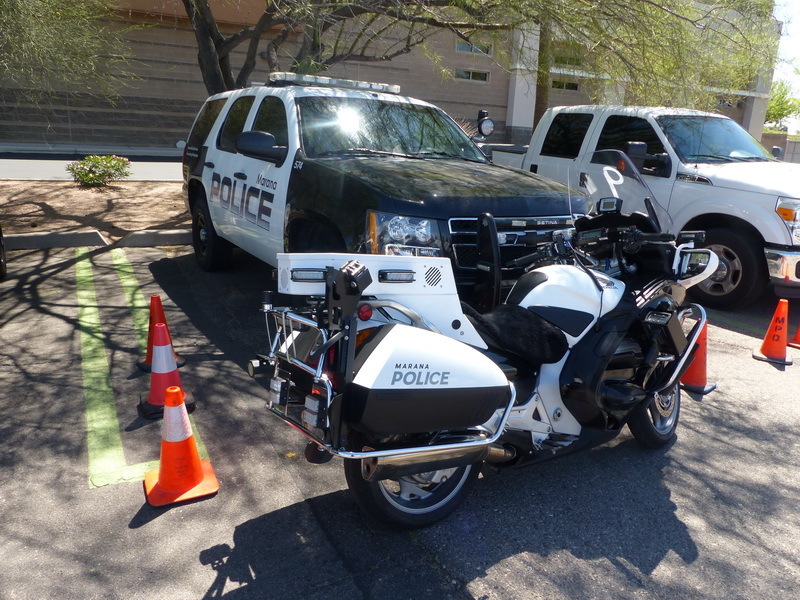 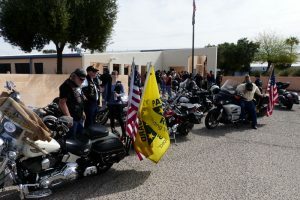 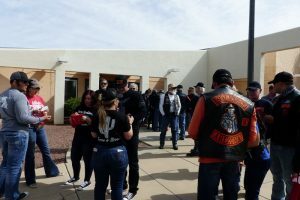 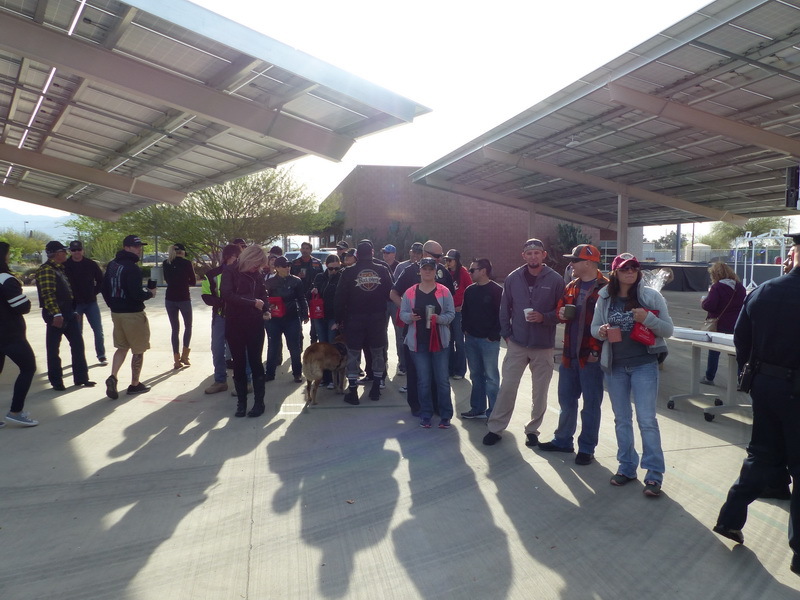 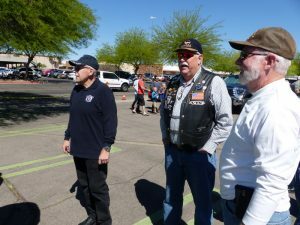 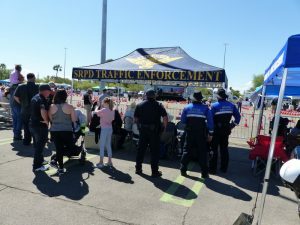 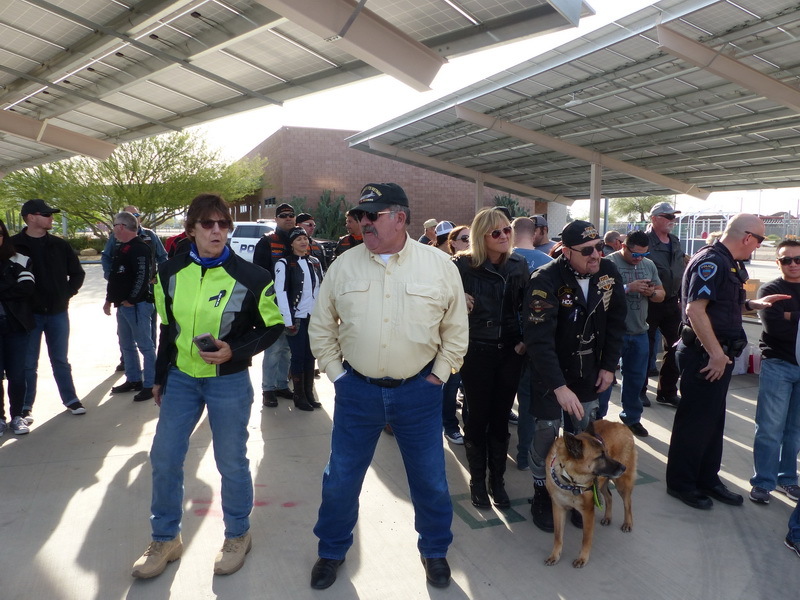 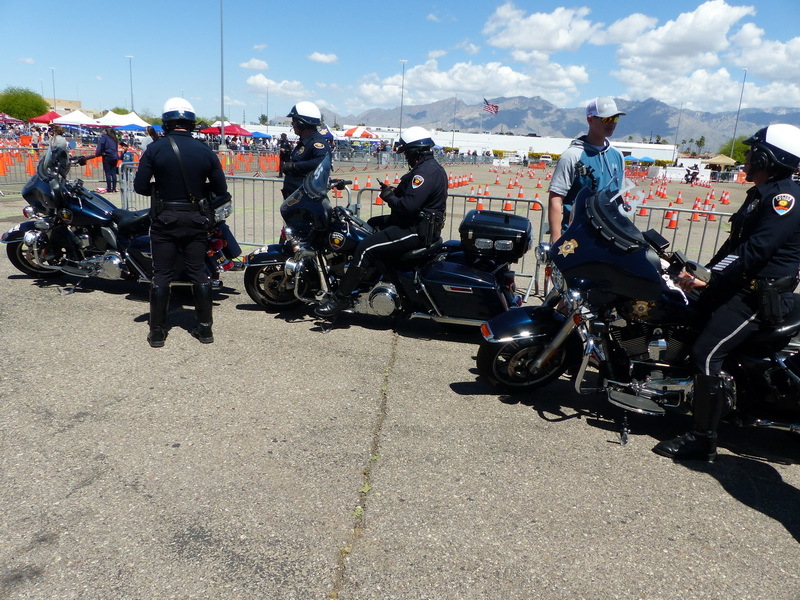 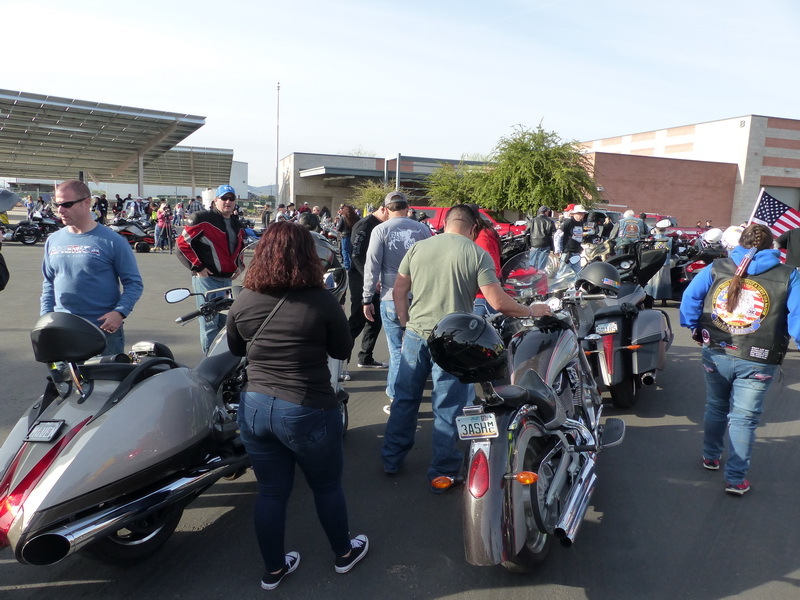 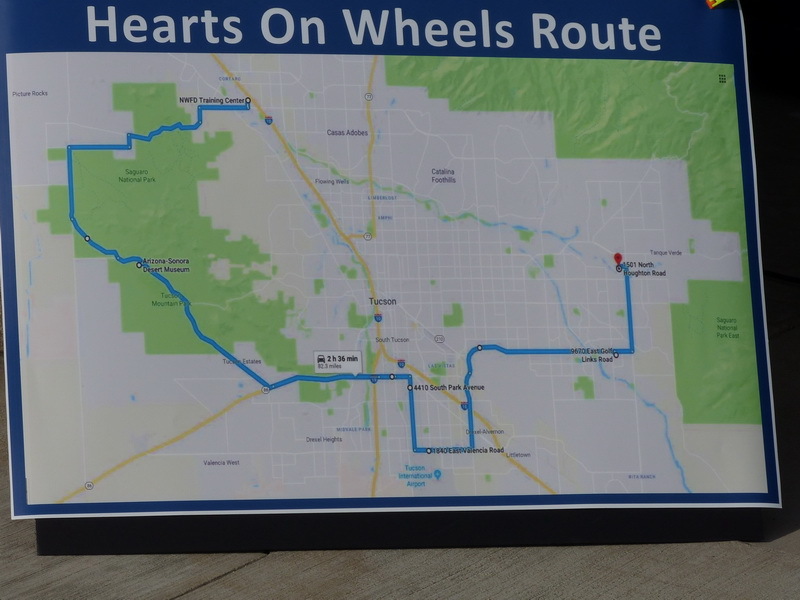 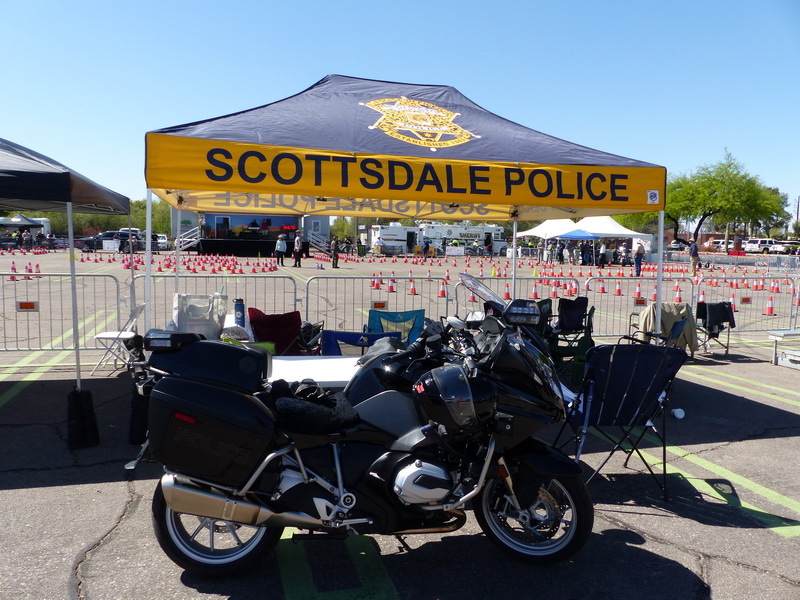 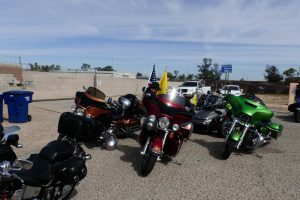 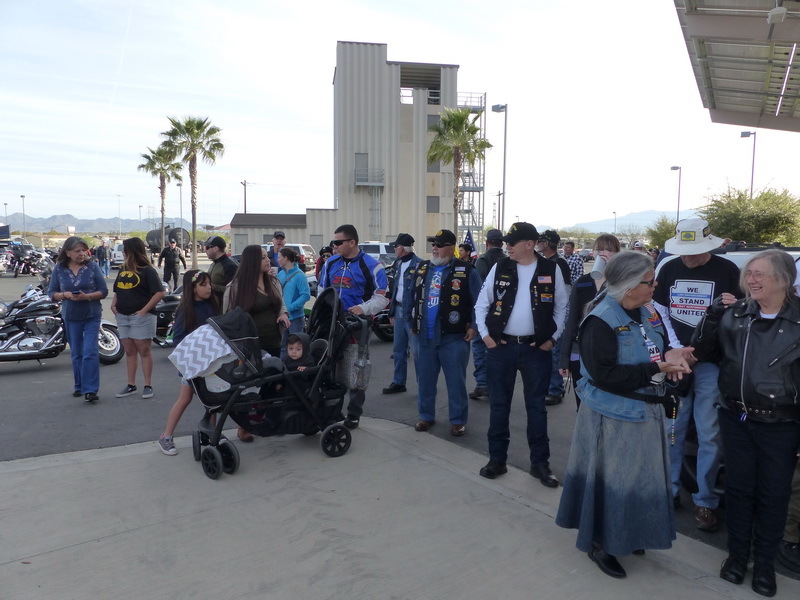 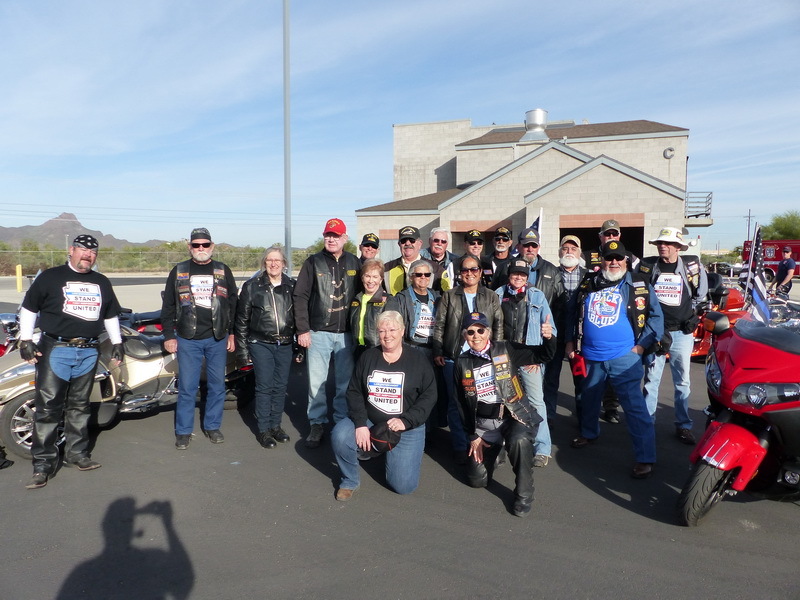 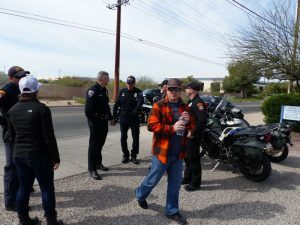 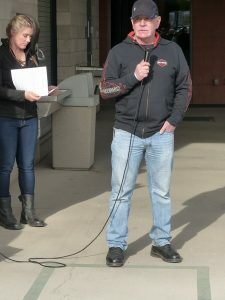 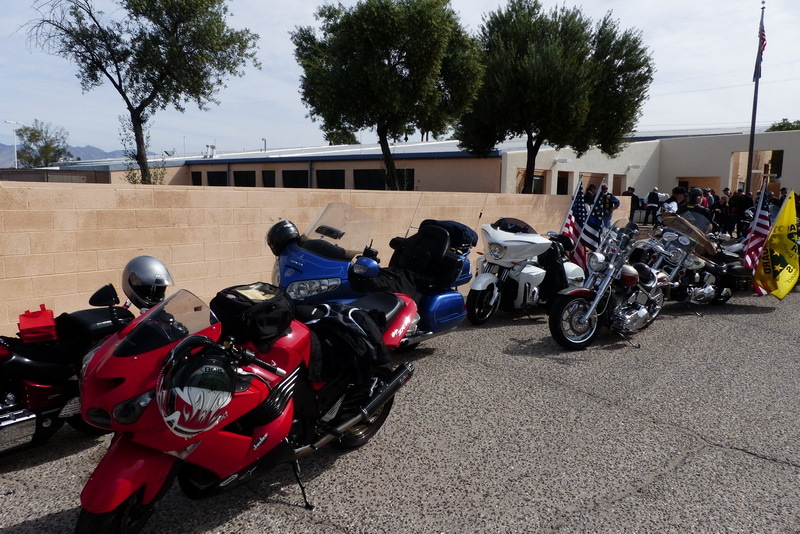 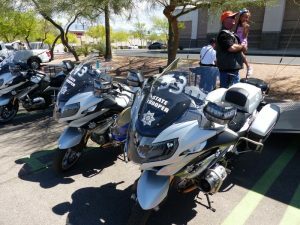 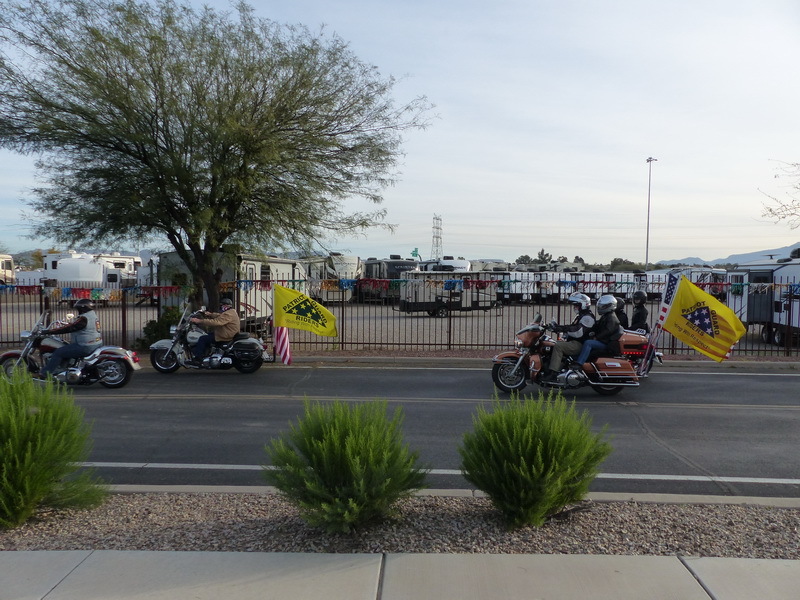 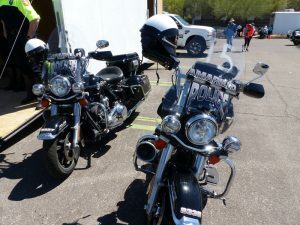 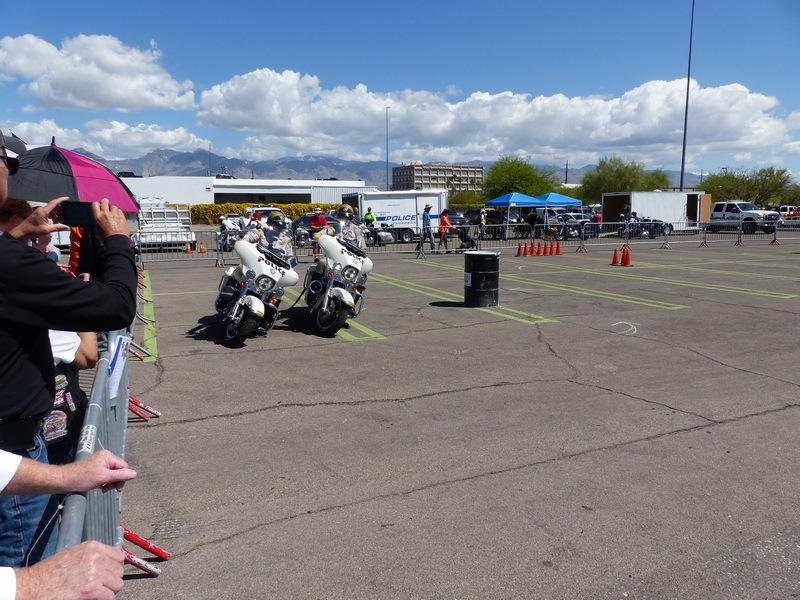 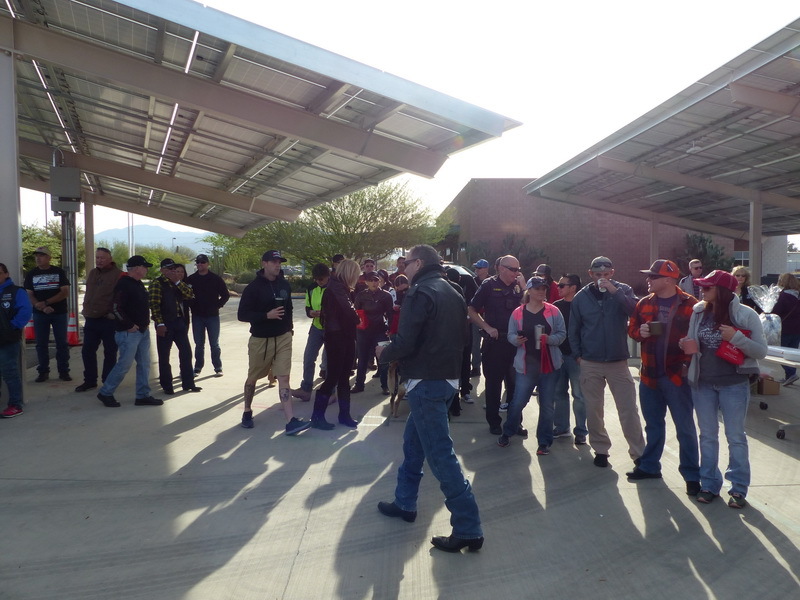 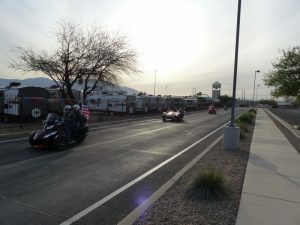 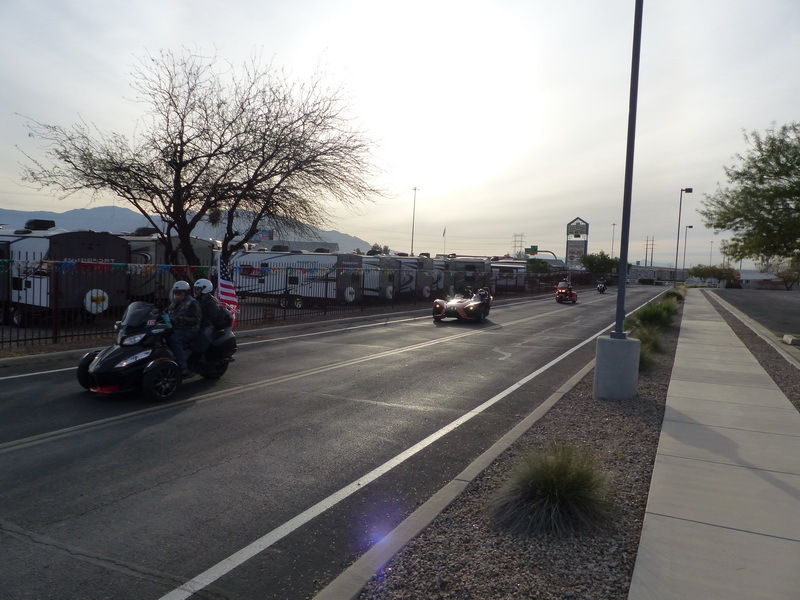 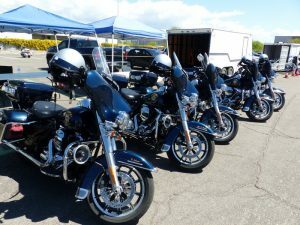 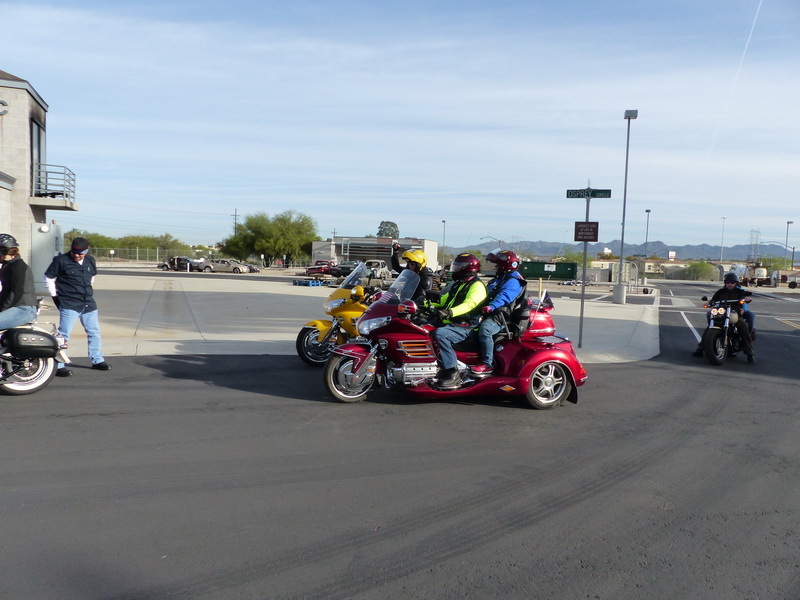 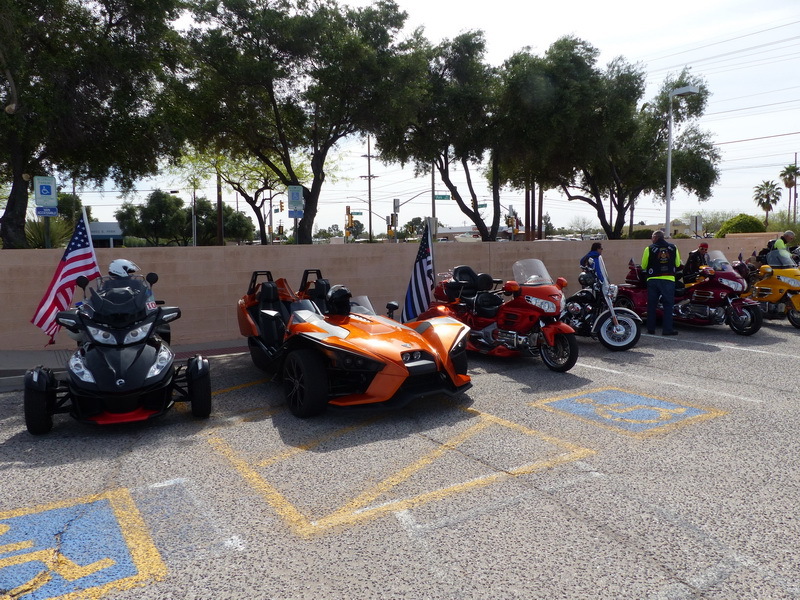 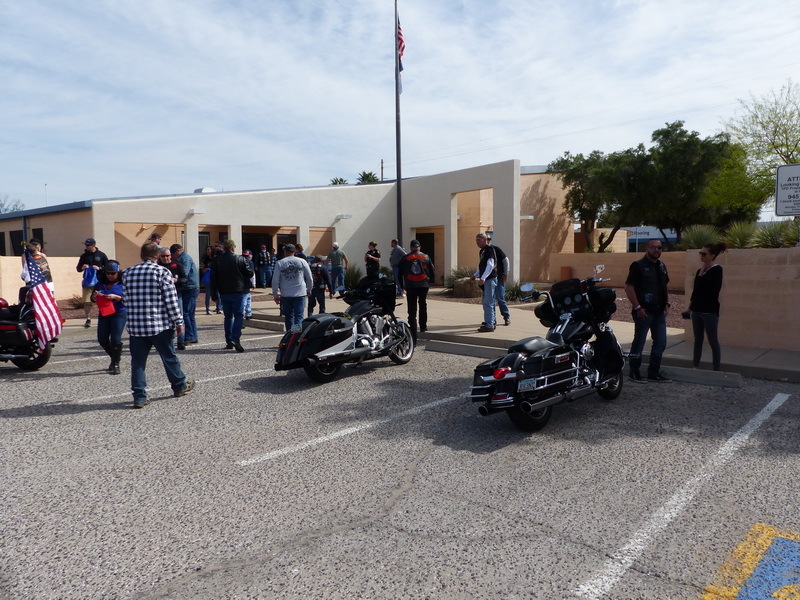 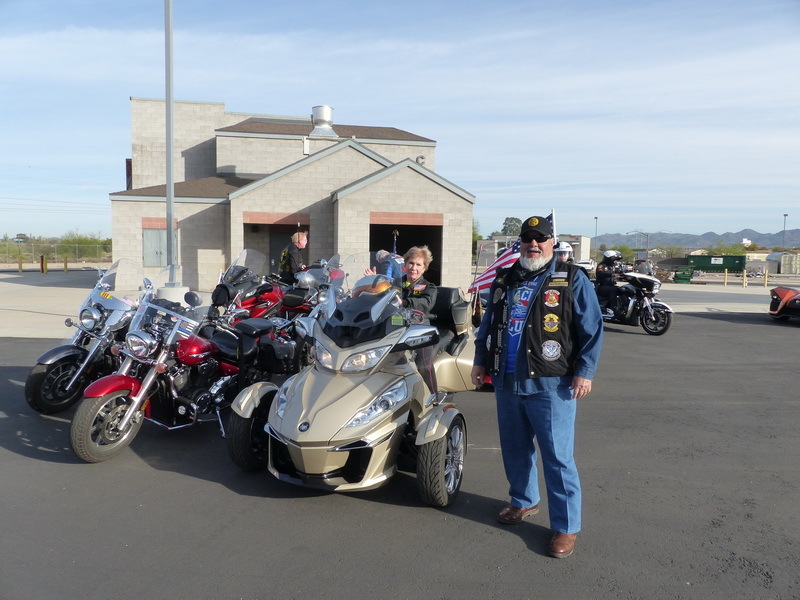 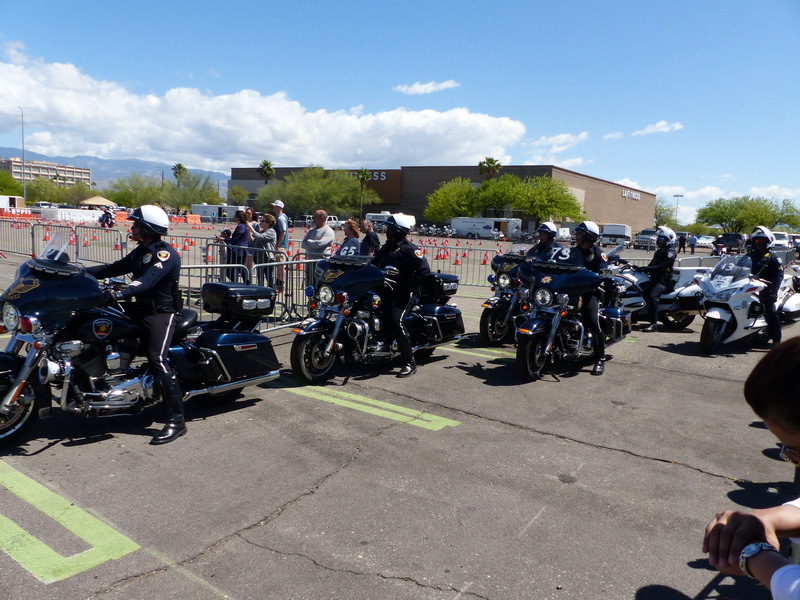 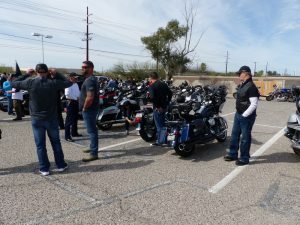 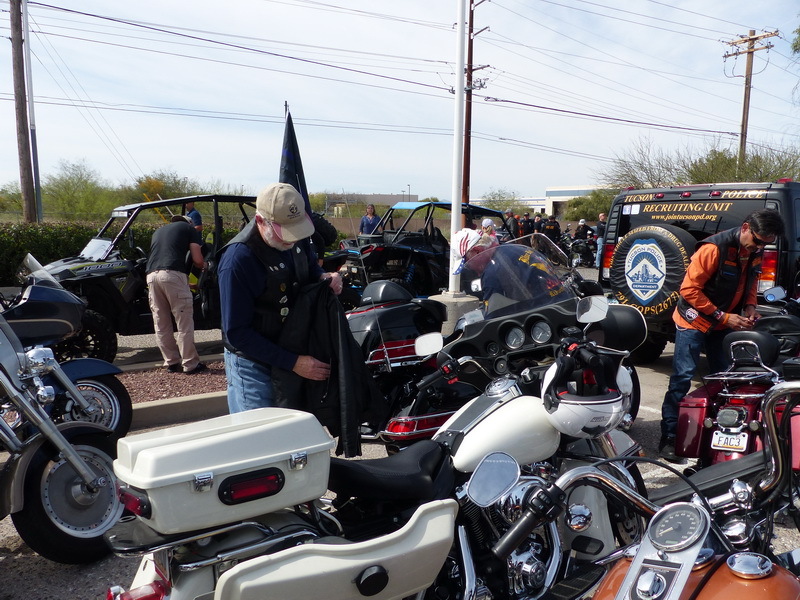 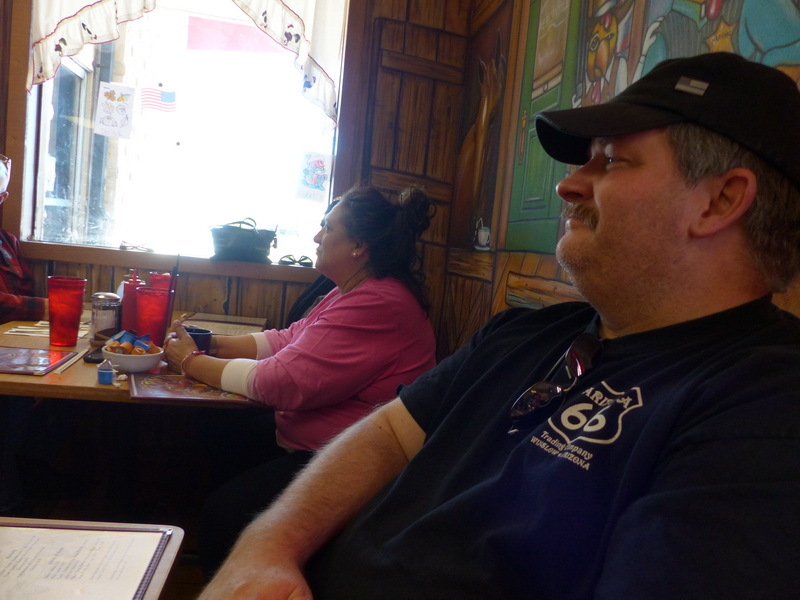 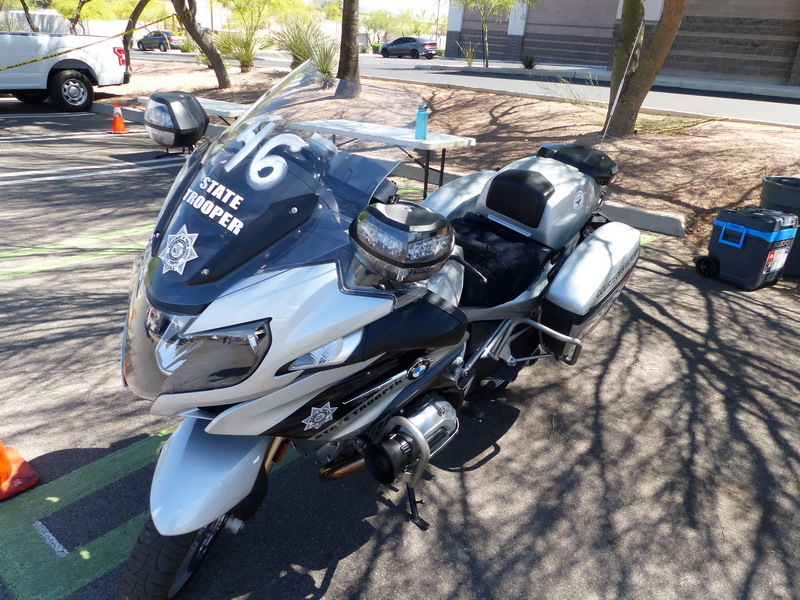 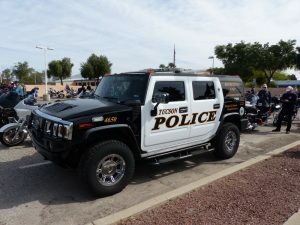 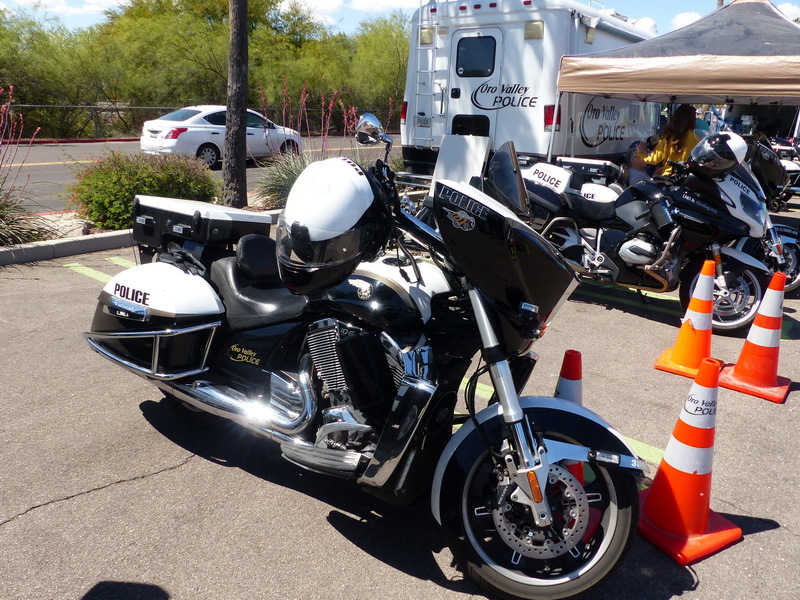 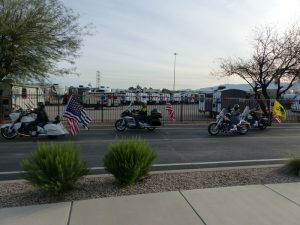 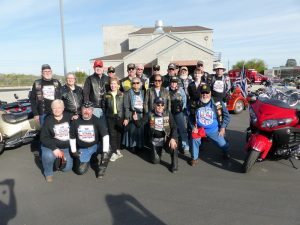 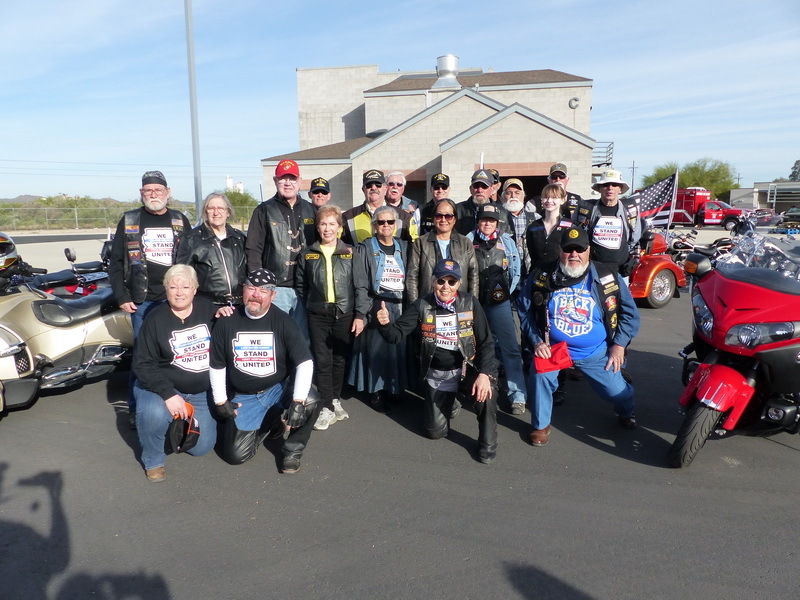 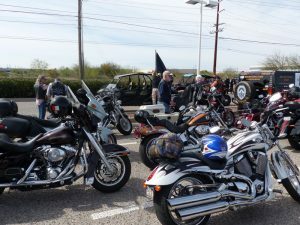 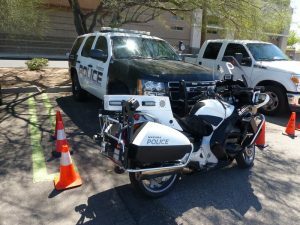 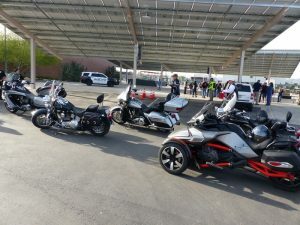 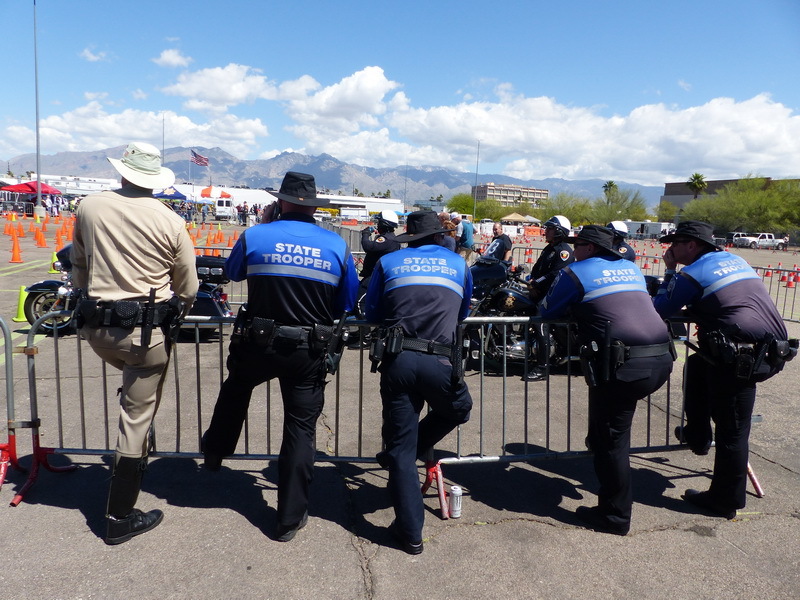 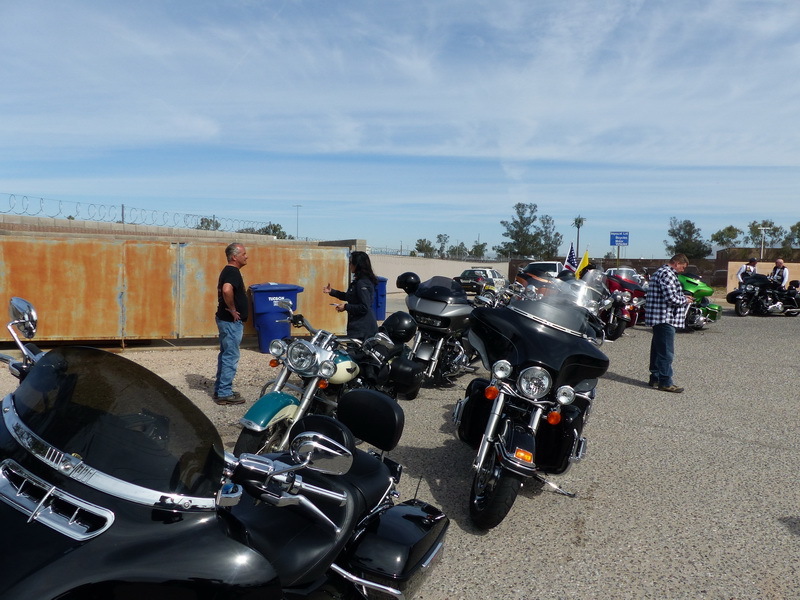 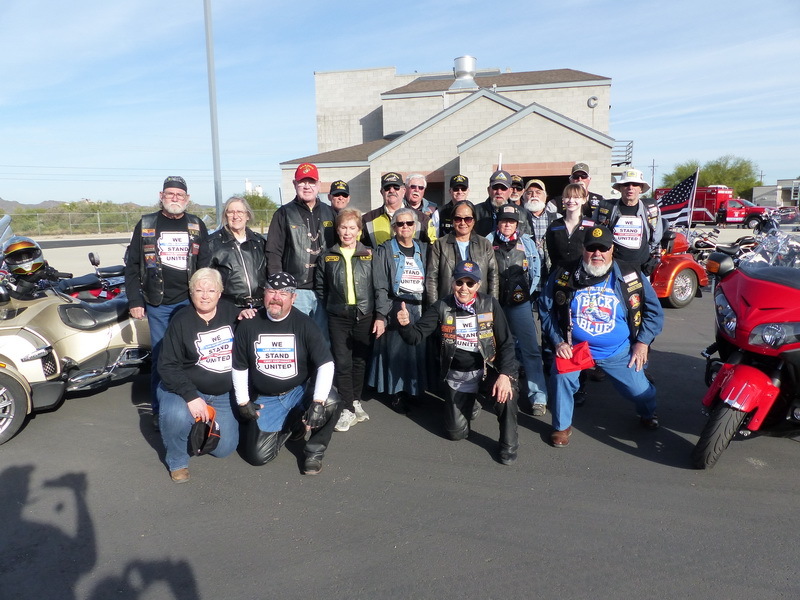 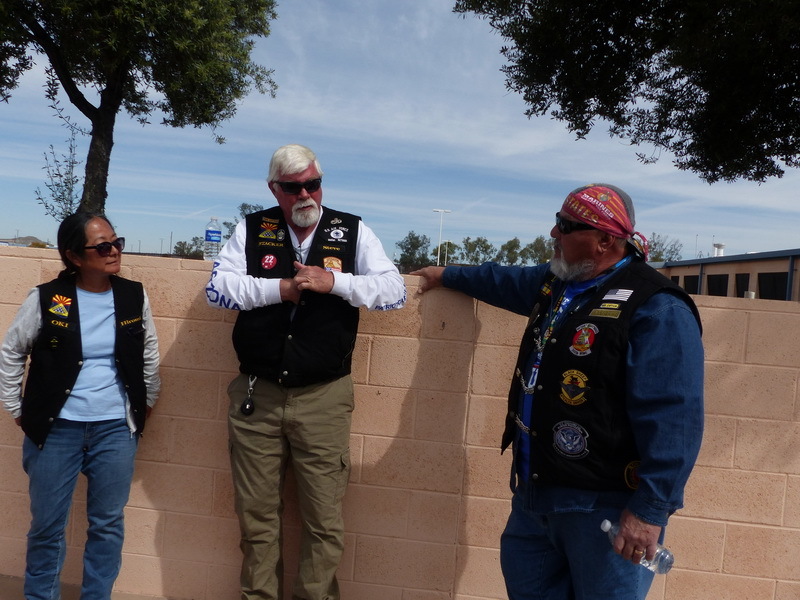 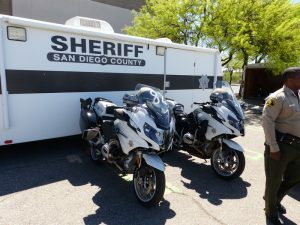 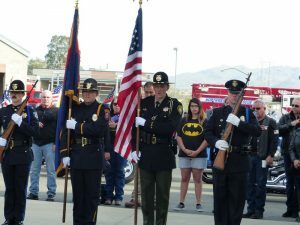 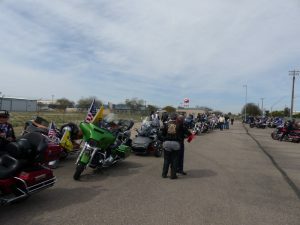 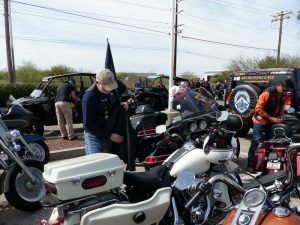 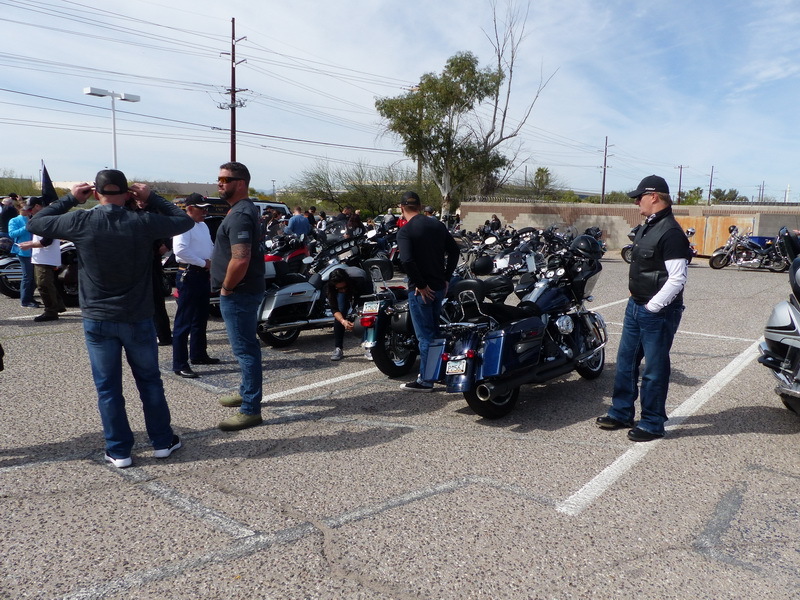 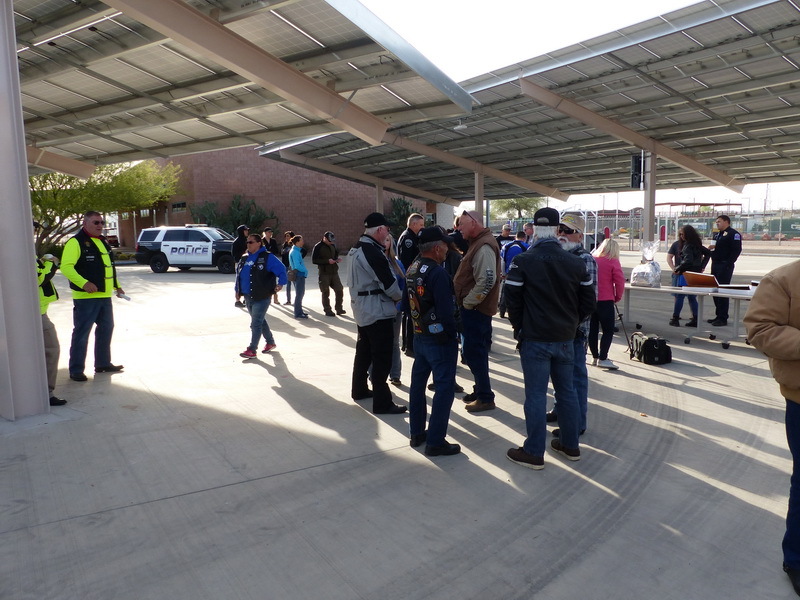 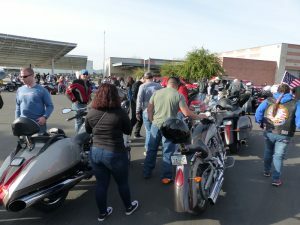 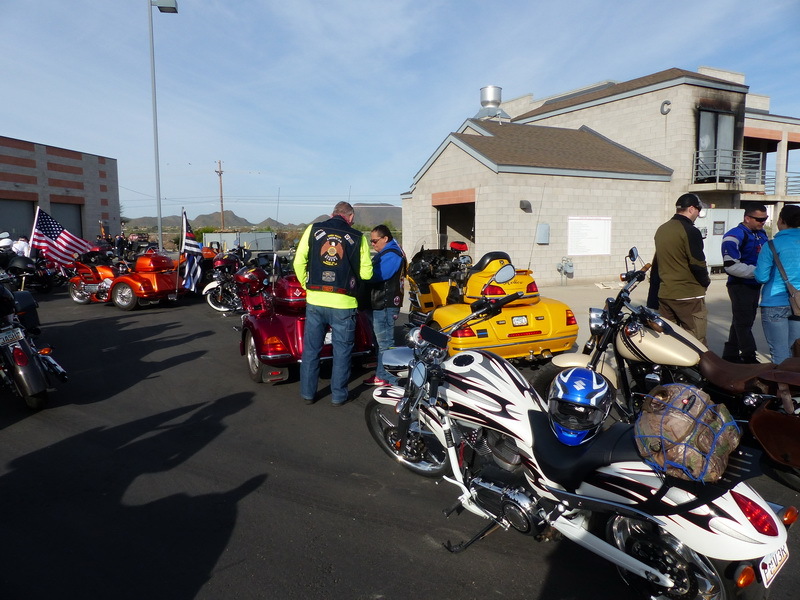 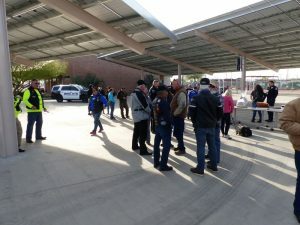 On Saturday March 30th the Hearts on Wheels held a Charity Event for Detective Mike Torres of the Marana PD. 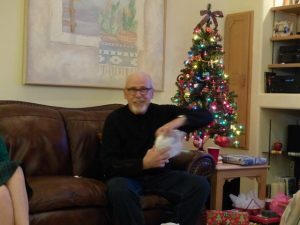 Mike is suffering from an aggressive form of cancer. 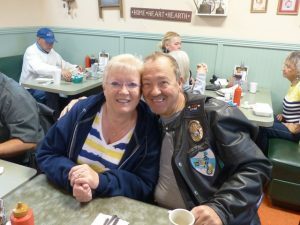 Mike is married to another detective, Meredith, with TPD. Mike is known for his 3-piece suits, silk ties, and Fedora hats that he wears every day at the office. 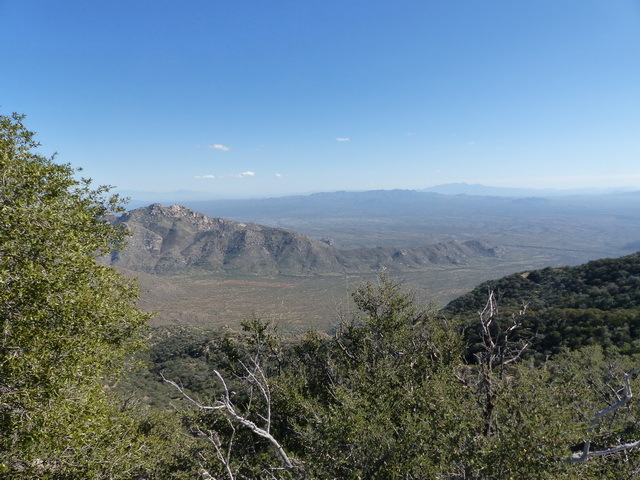 Also here are a few of the pictures I took until the battery died on my camera. 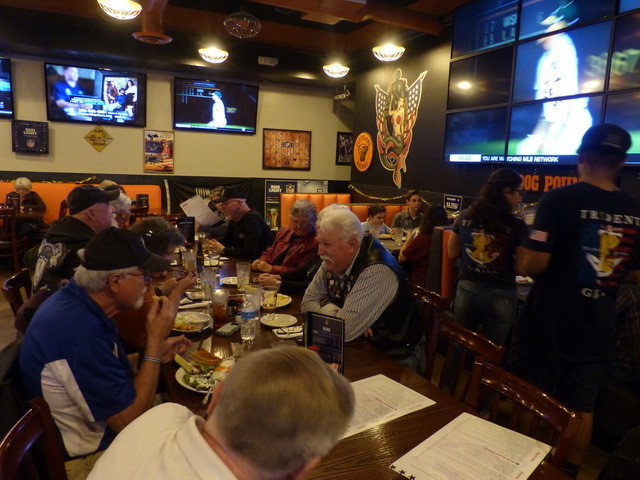 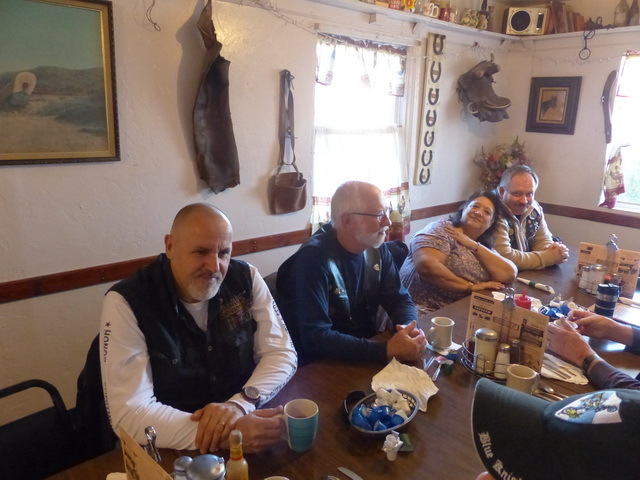 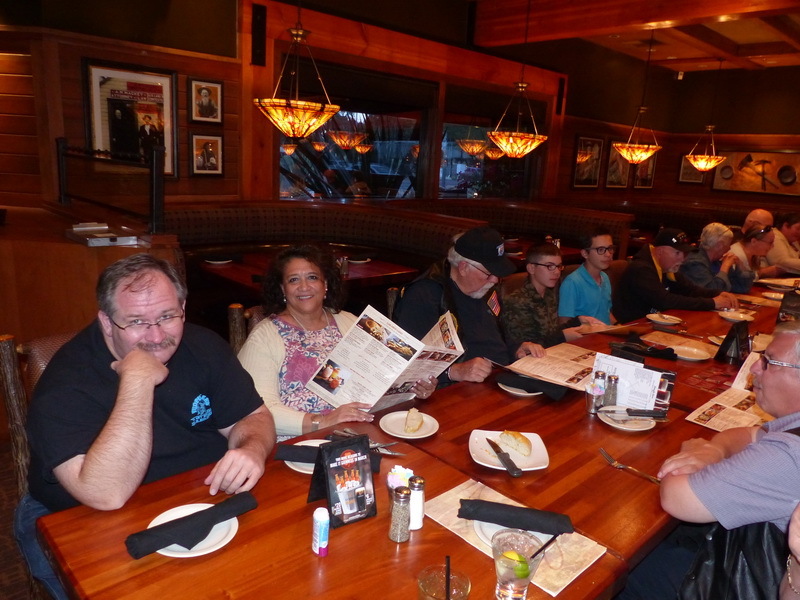 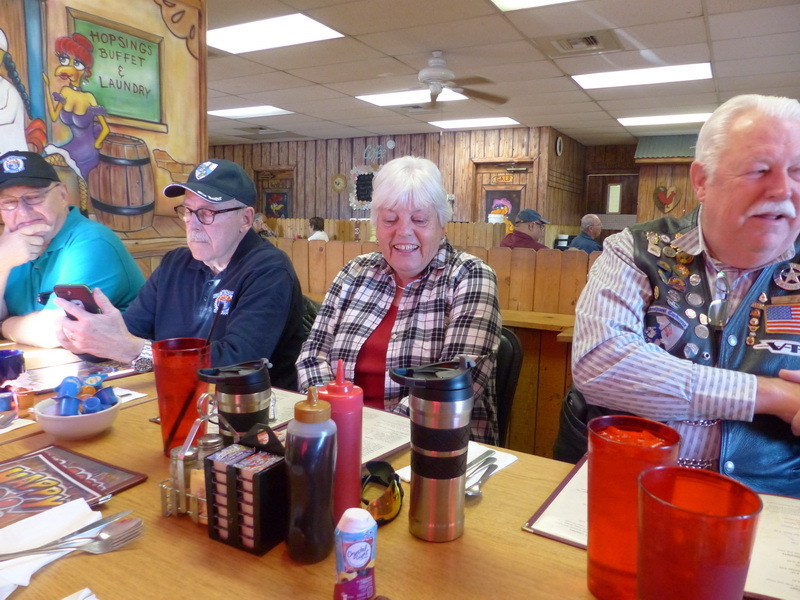 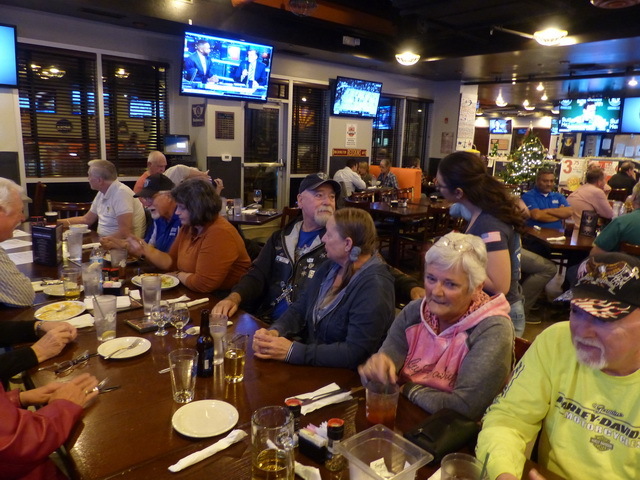 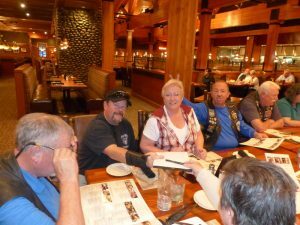 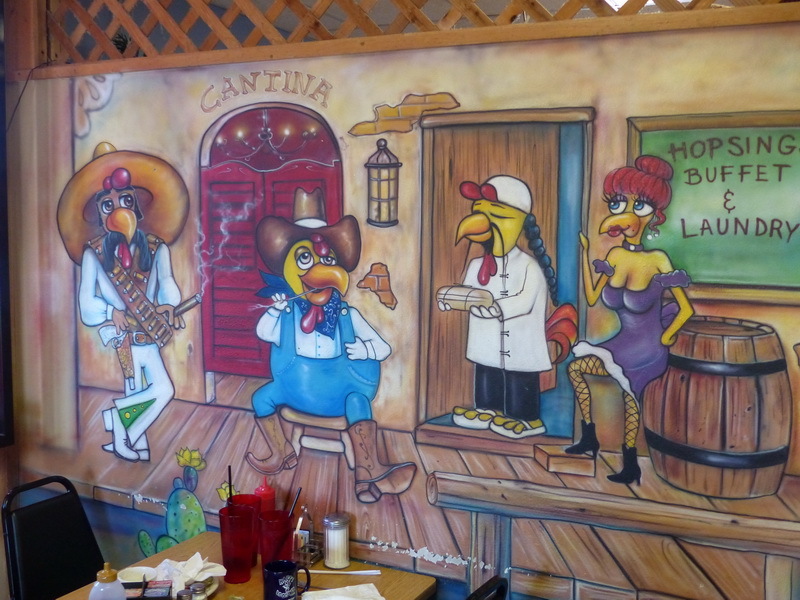 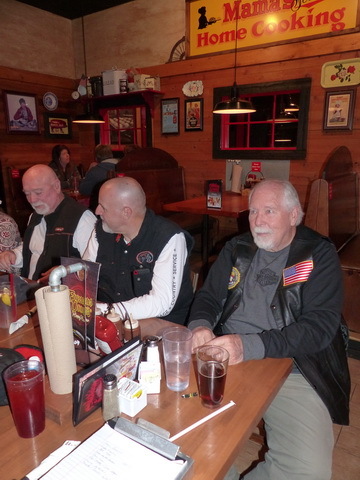 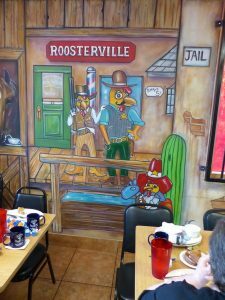 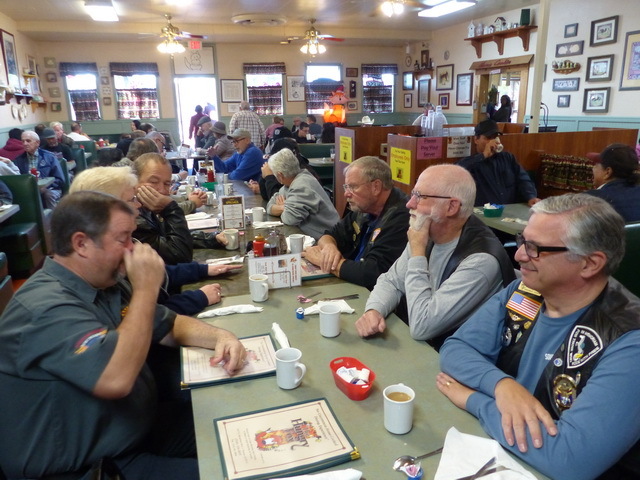 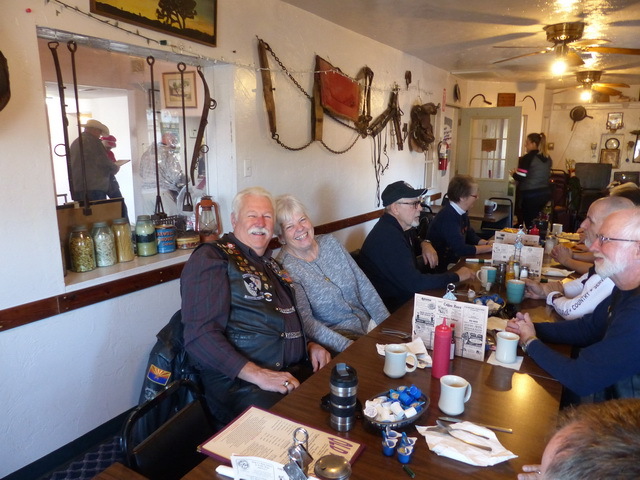 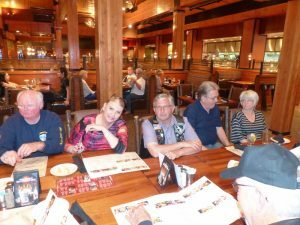 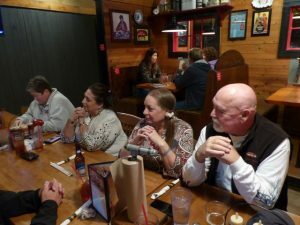 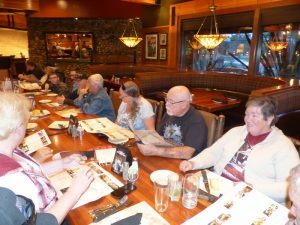 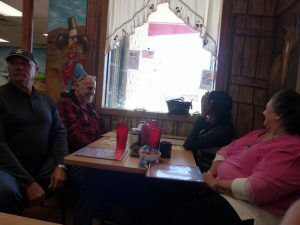 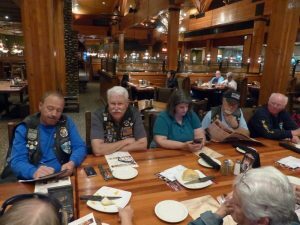 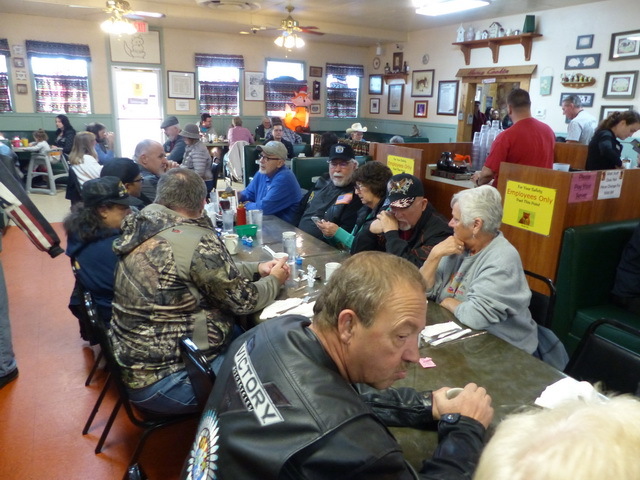 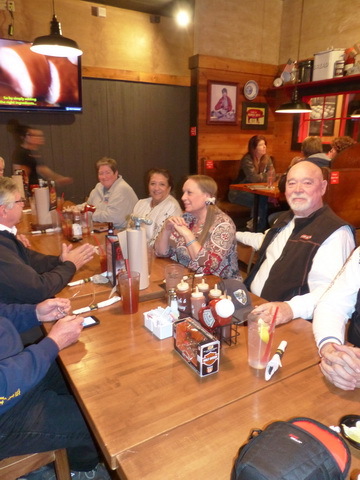 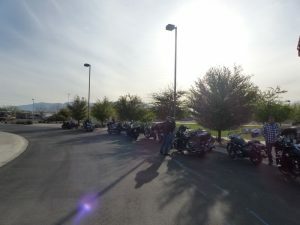 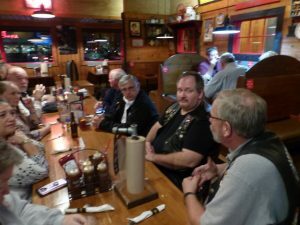 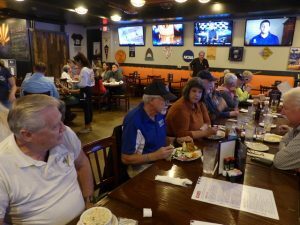 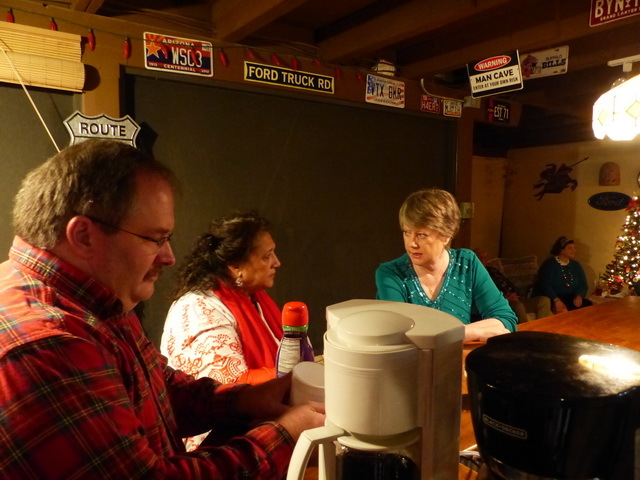 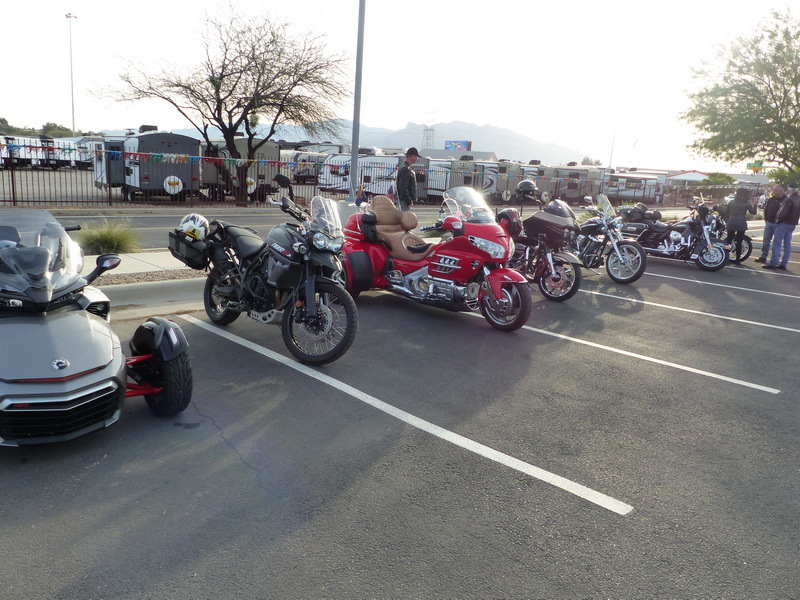 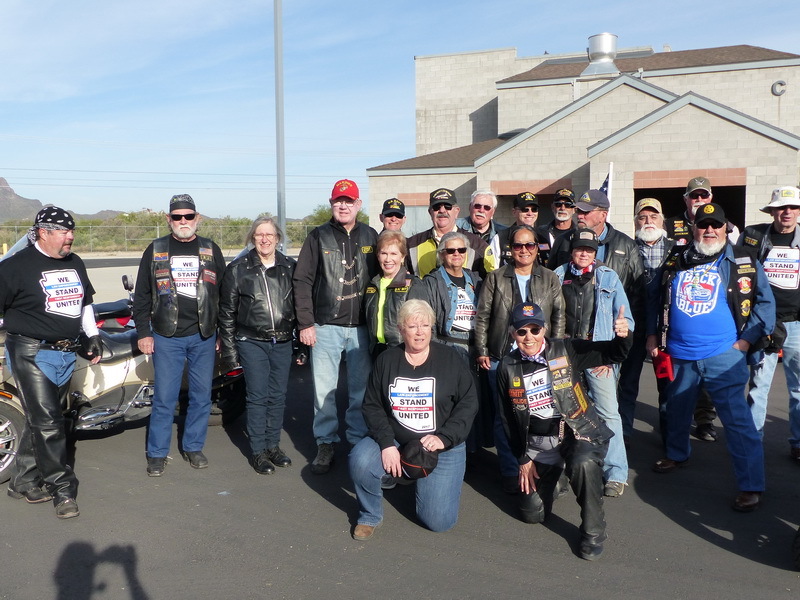 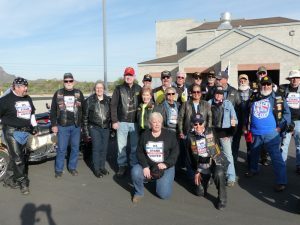 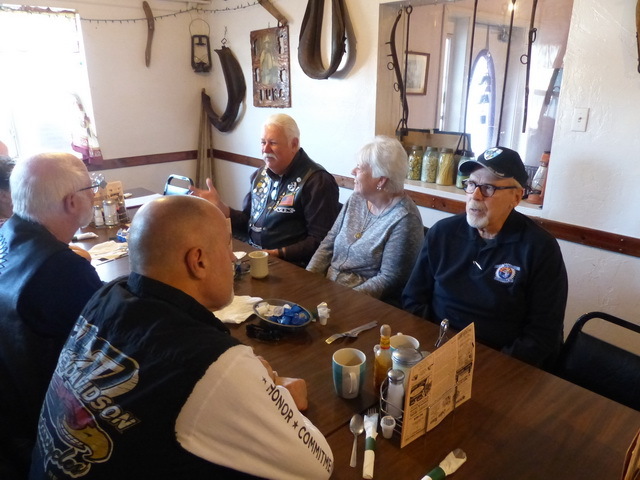 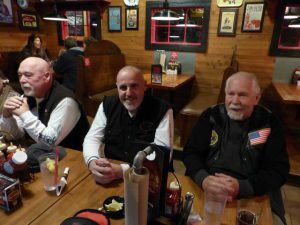 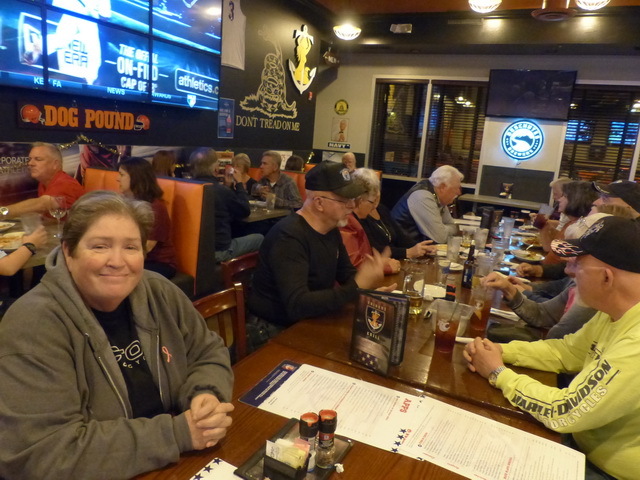 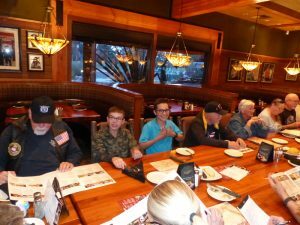 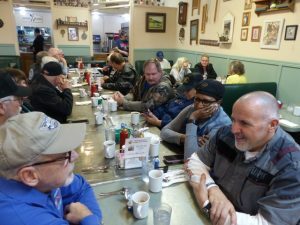 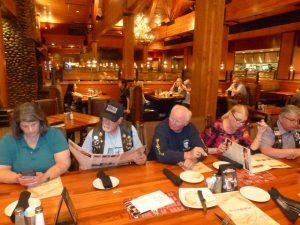 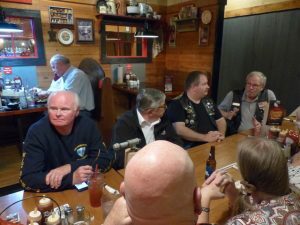 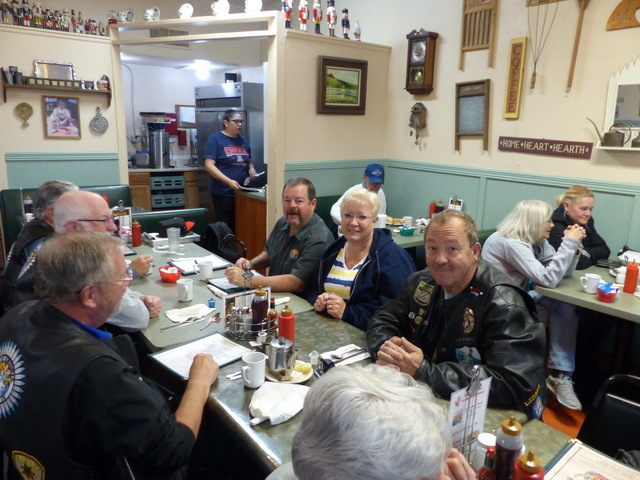 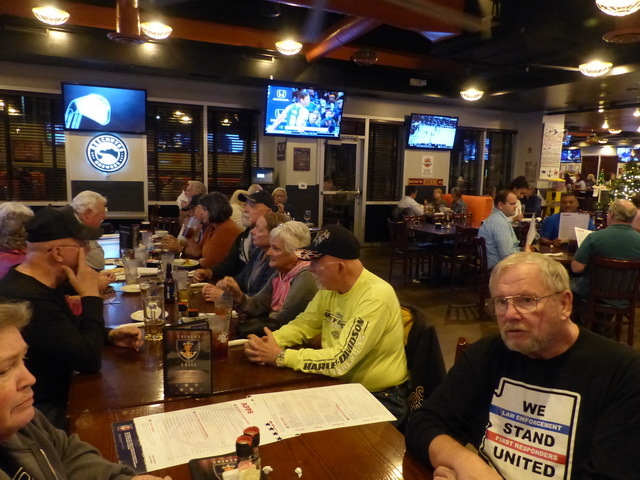 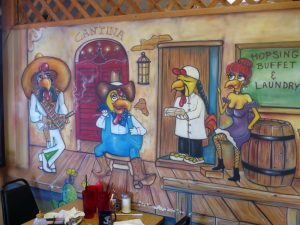 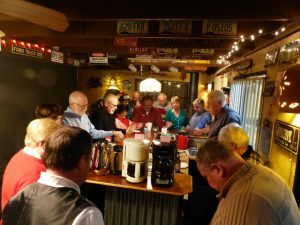 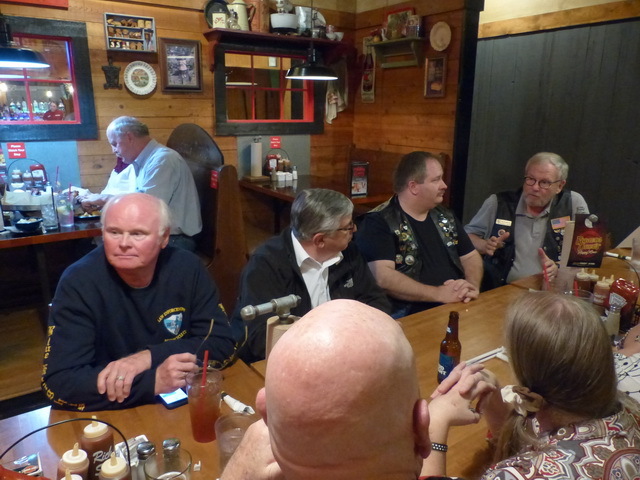 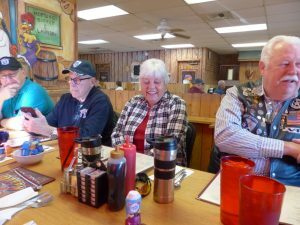 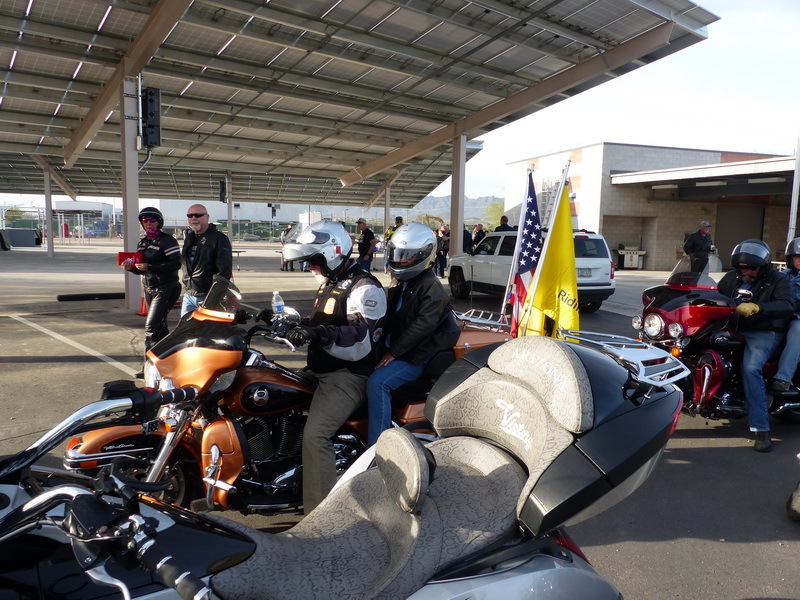 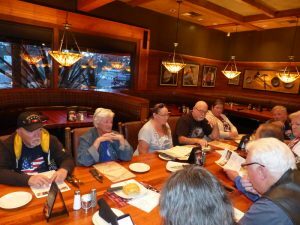 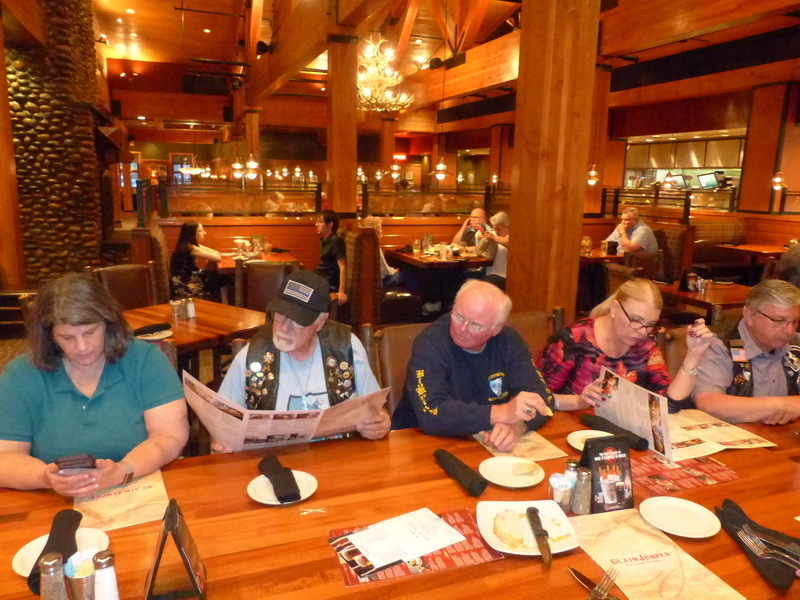 On Tuesday January 29th BKAZIX met at Famous Daves for our monthly dinner ride. 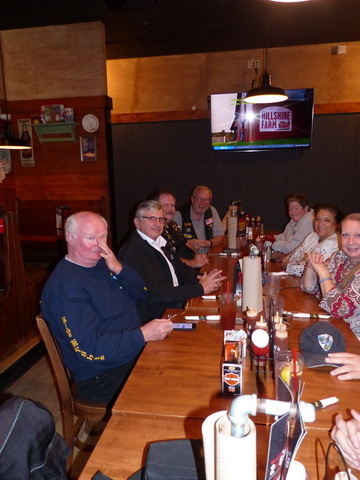 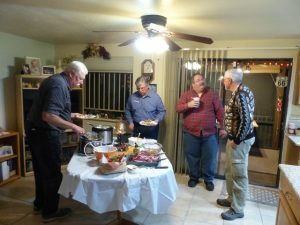 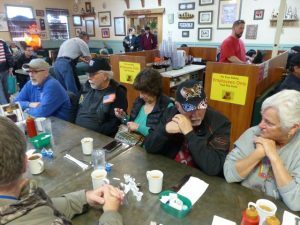 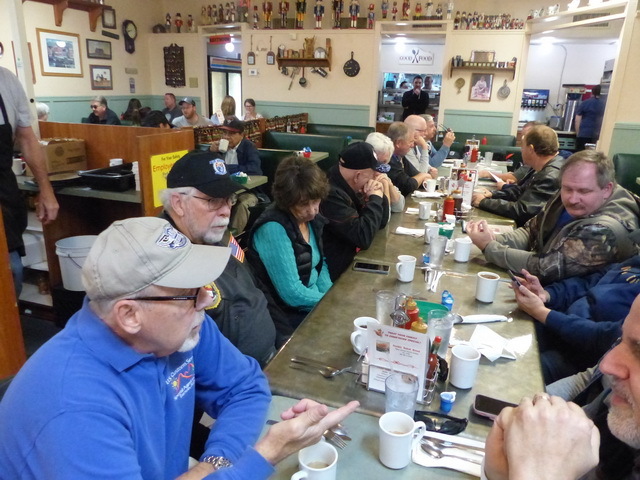 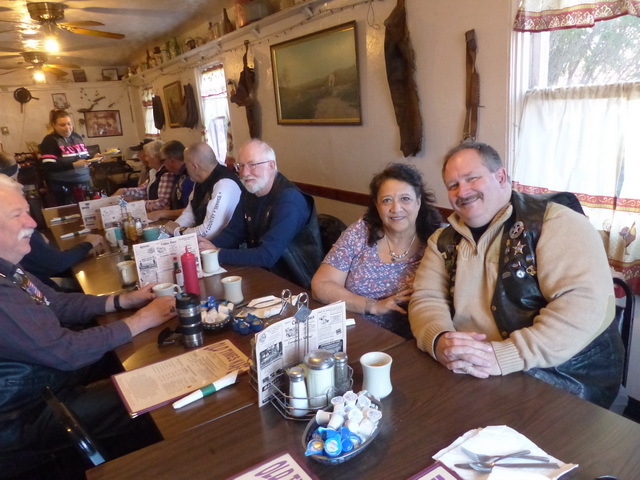 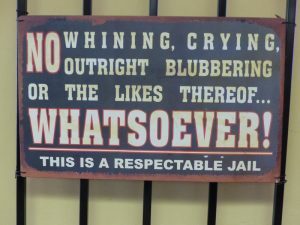 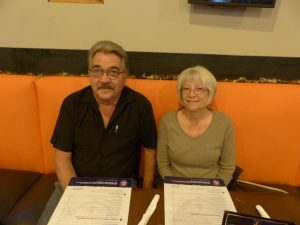 In attendance were: Frank B., Bob W & Debi K., Twan V., Paul H., Allen S. & Susan W., Gary A., and Bruce & Bonnie D. We had a great time catching up and reminiscing about old times. Here are a few pictures of the evening. 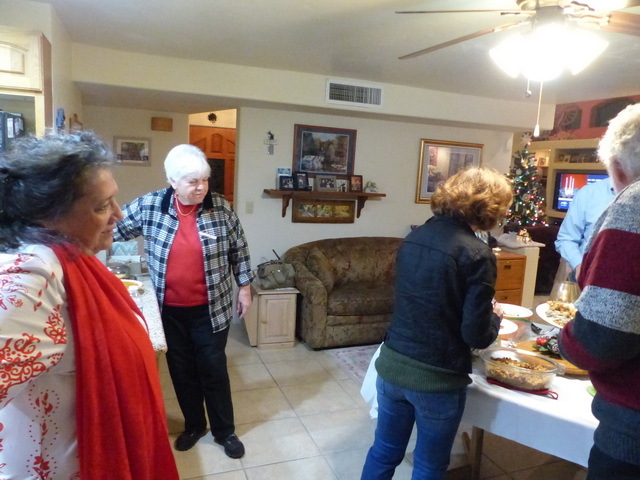 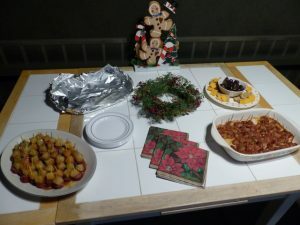 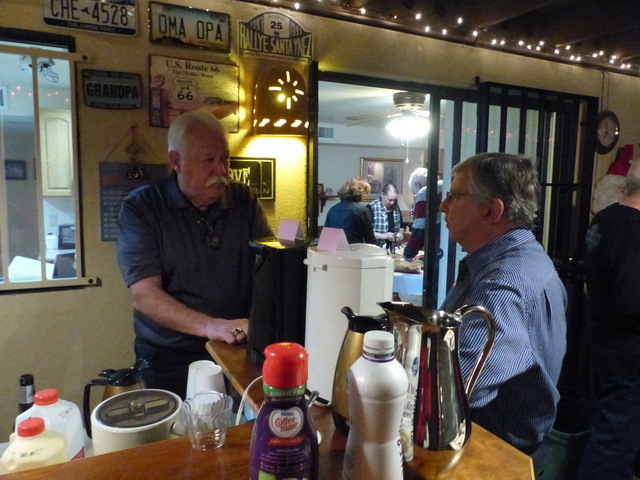 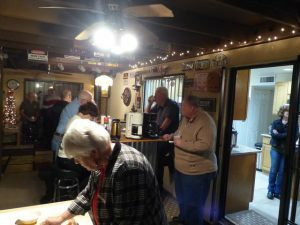 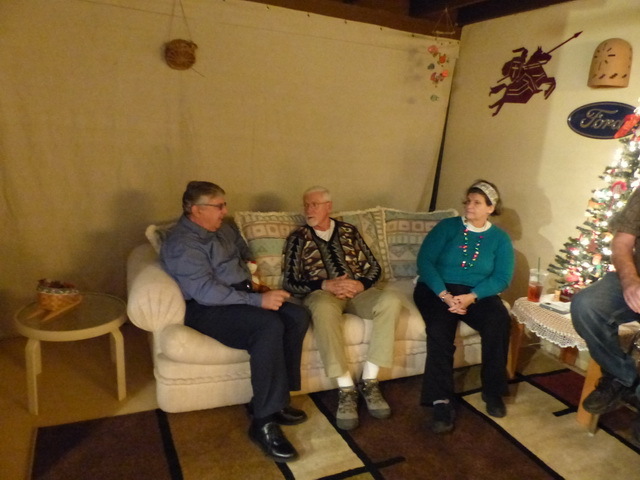 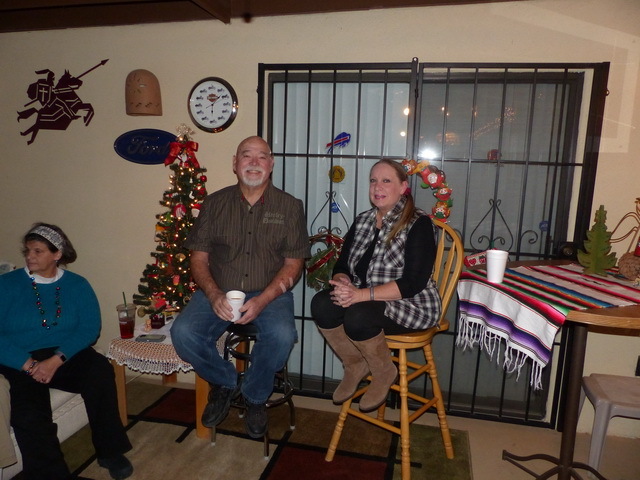 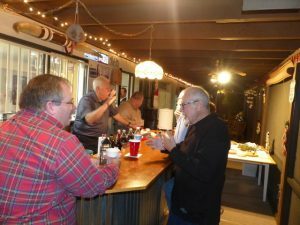 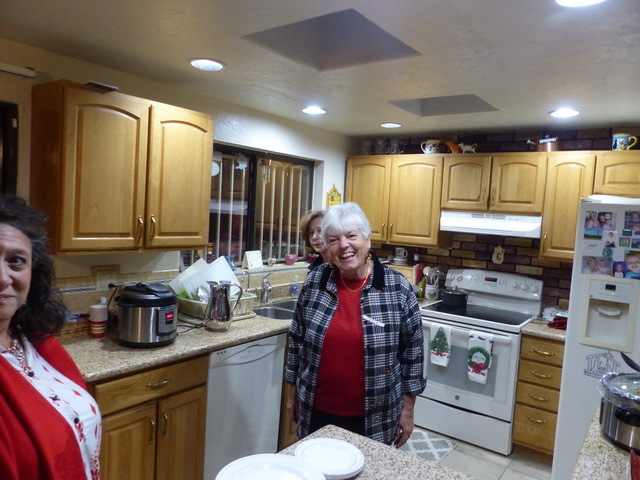 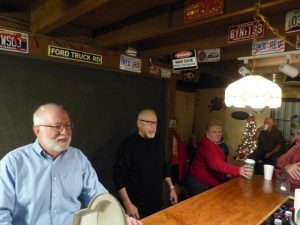 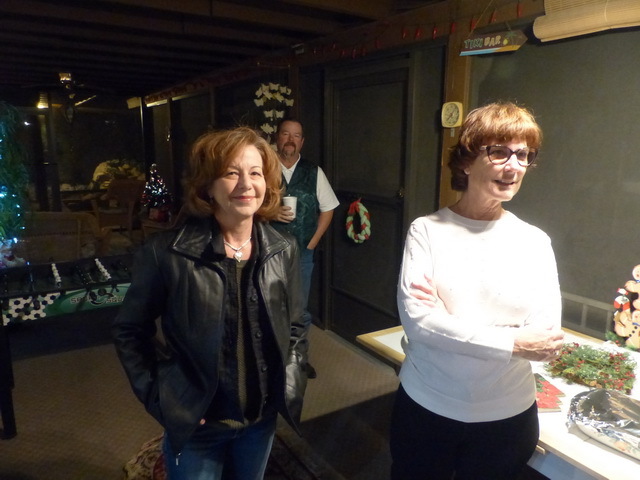 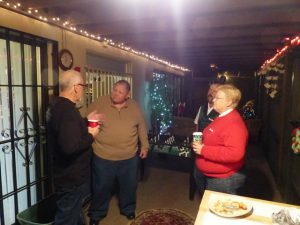 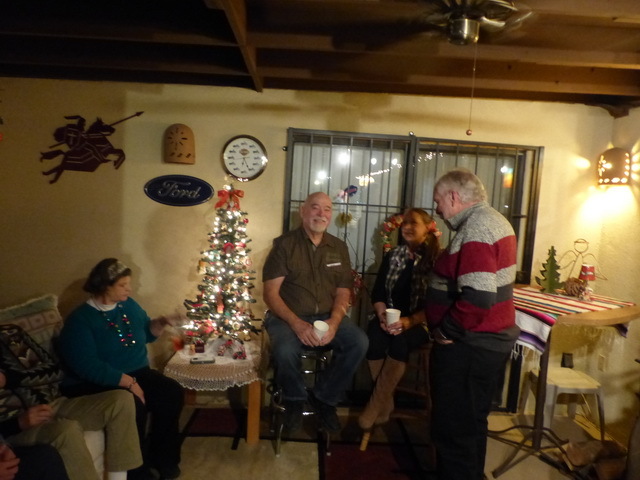 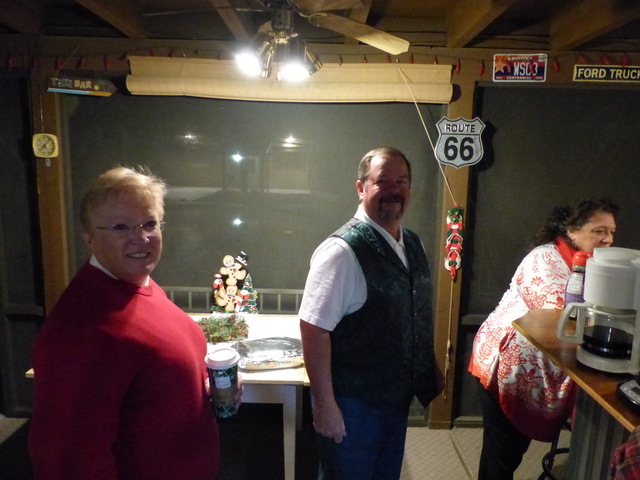 On Saturday December 15th we had our Annual Christmas Party. Once again the Rev and his wife Antje graciously opened their home once again to host our Party. 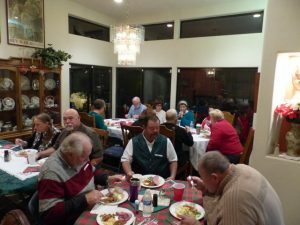 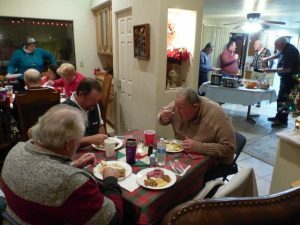 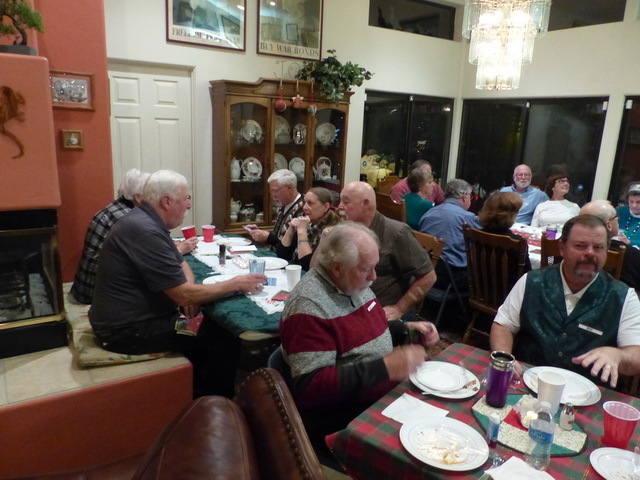 This year we had an awesome turnout, 19 members and family were able to attend our dinner. 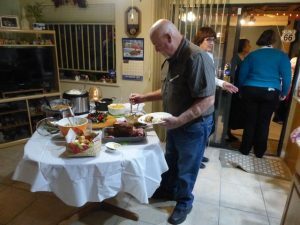 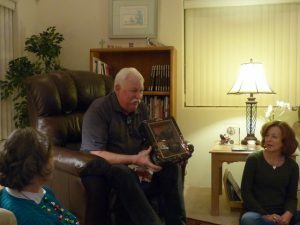 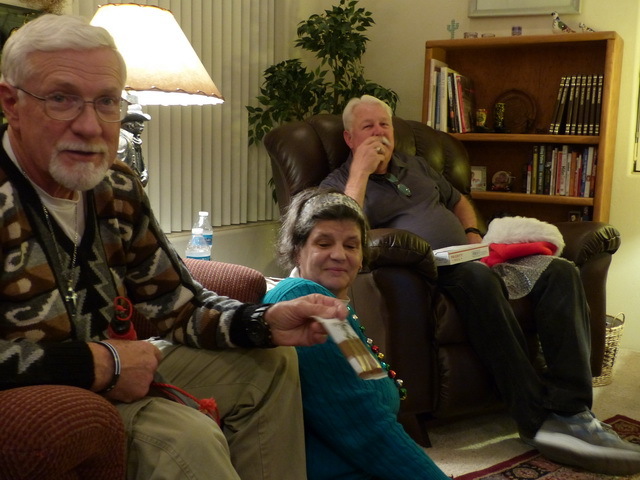 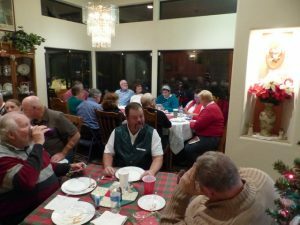 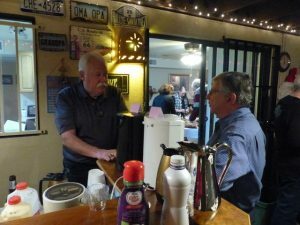 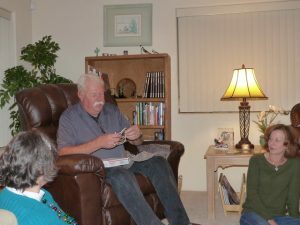 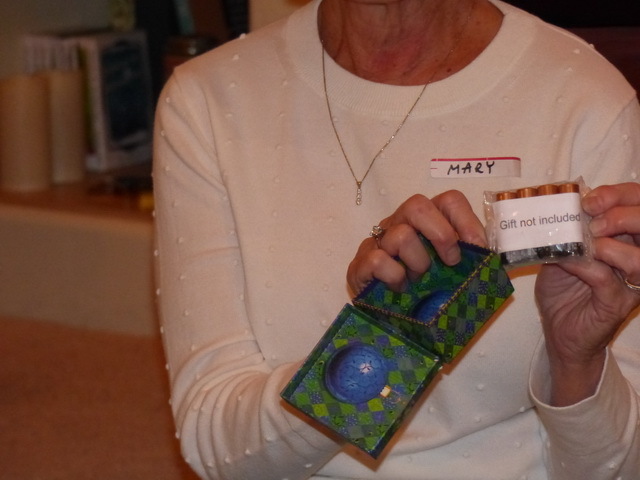 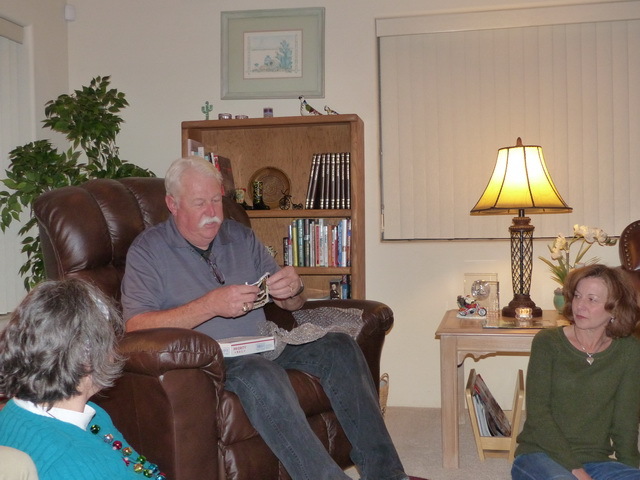 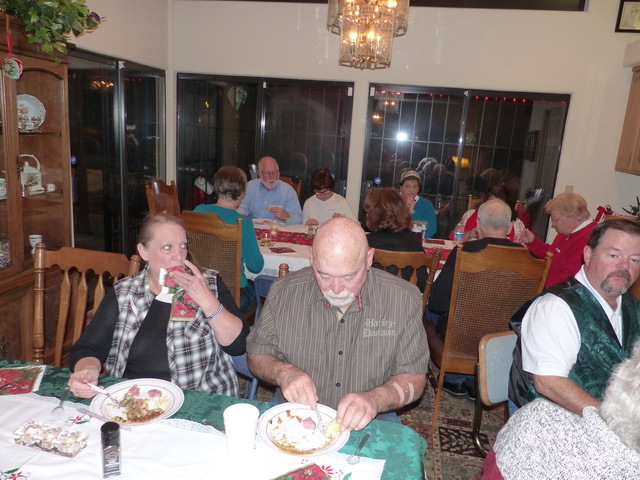 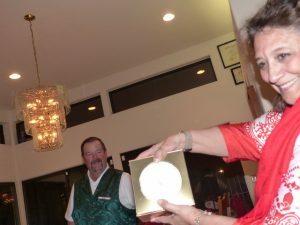 Those in attendance were; Frank & Kate B., Stan & Patti T., Robi & Bear C., Alan & Susan S., Bob W. from OR II & Debi K., John J. 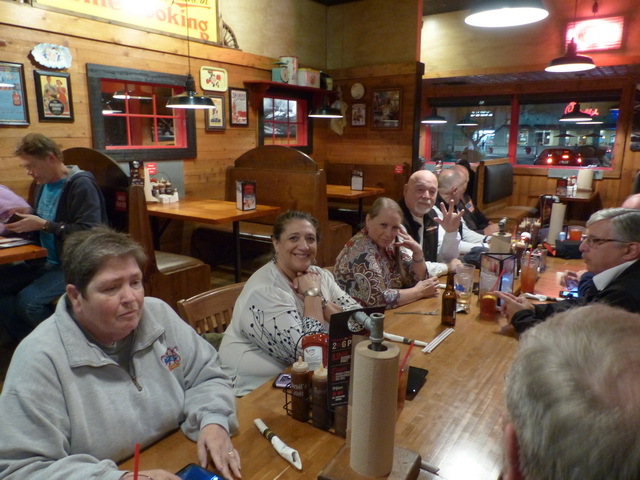 & Patti H., Ken & Mary M., Terry A., Gary A., the Rev & his wife Antje, and of course yours truly. Everyone arrive and we had appetizers before sitting down to a lovely dinner where many of the guests brought side dishes. 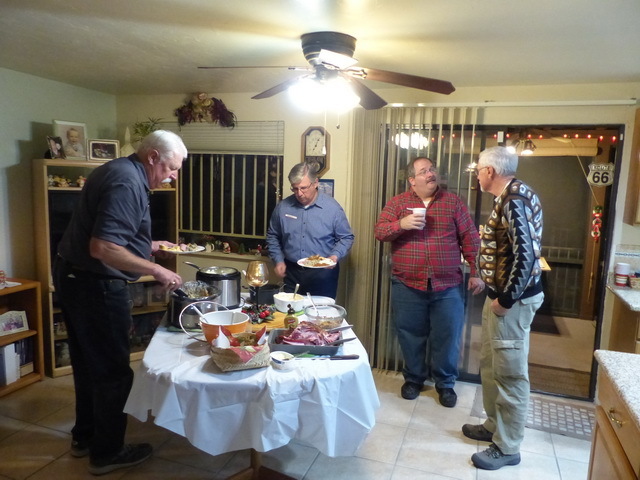 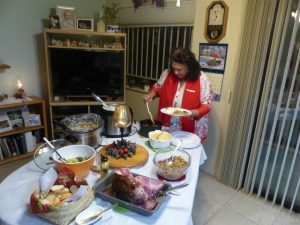 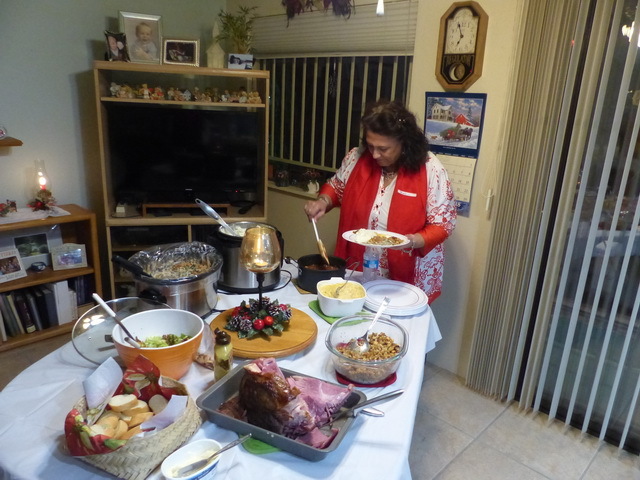 We had a traditional Ham and yours truly deep fried a Turkey. 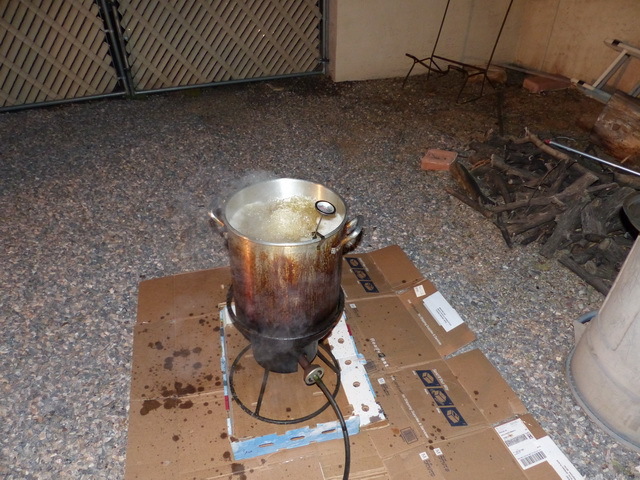 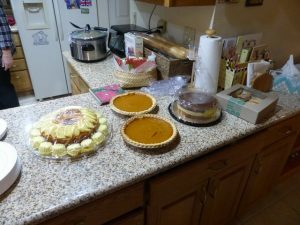 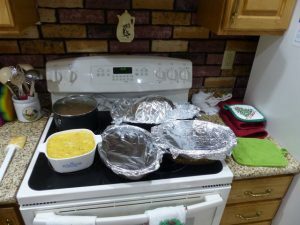 Unfortunately I didn’t get the Turkey in the fryer early enough so the turkey was more a dessert. 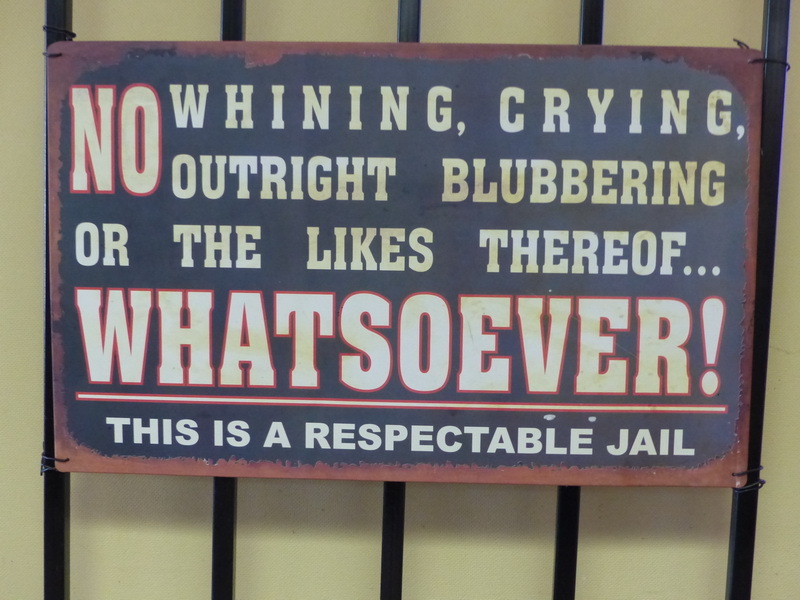 However it was done & juicy. 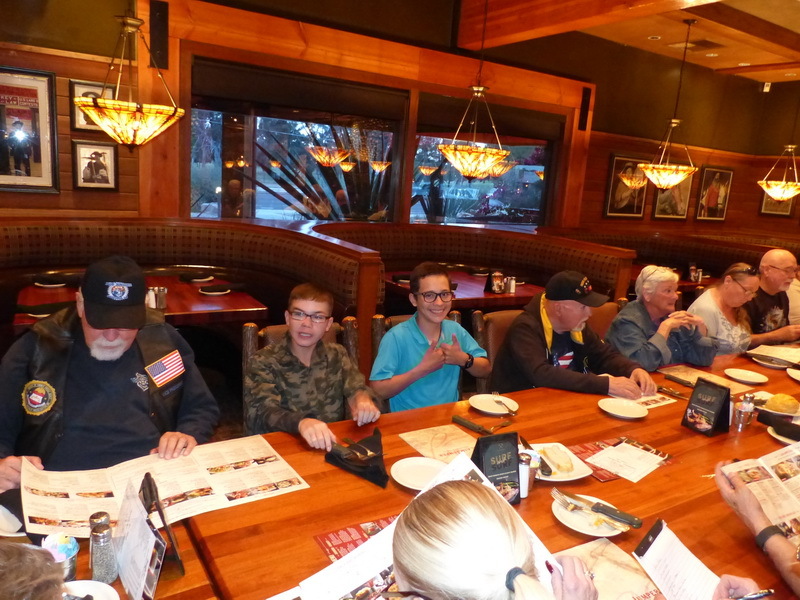 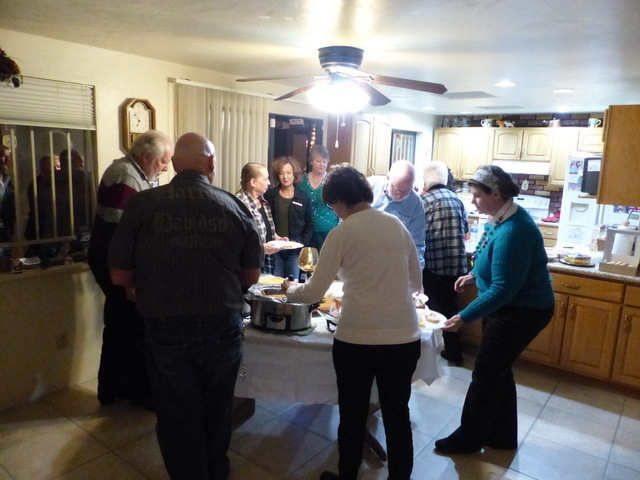 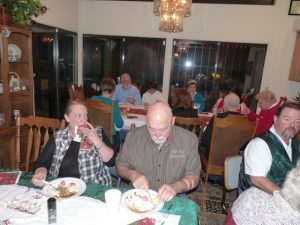 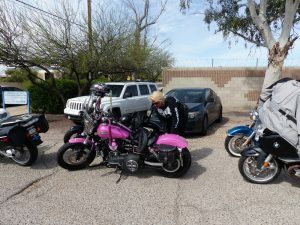 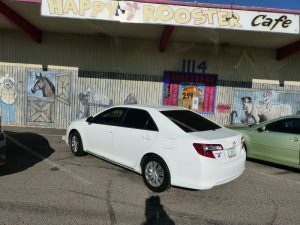 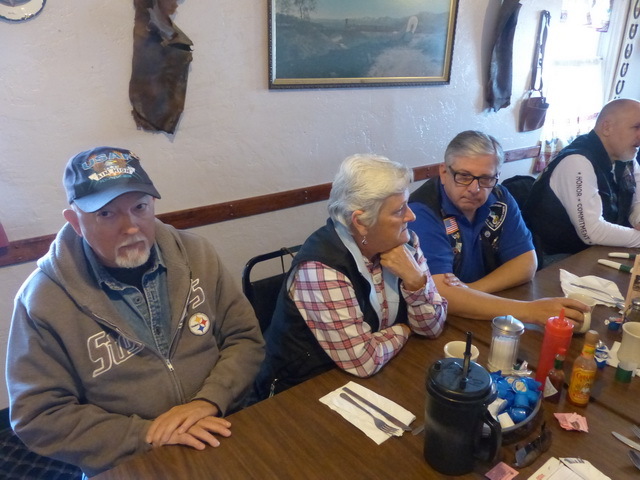 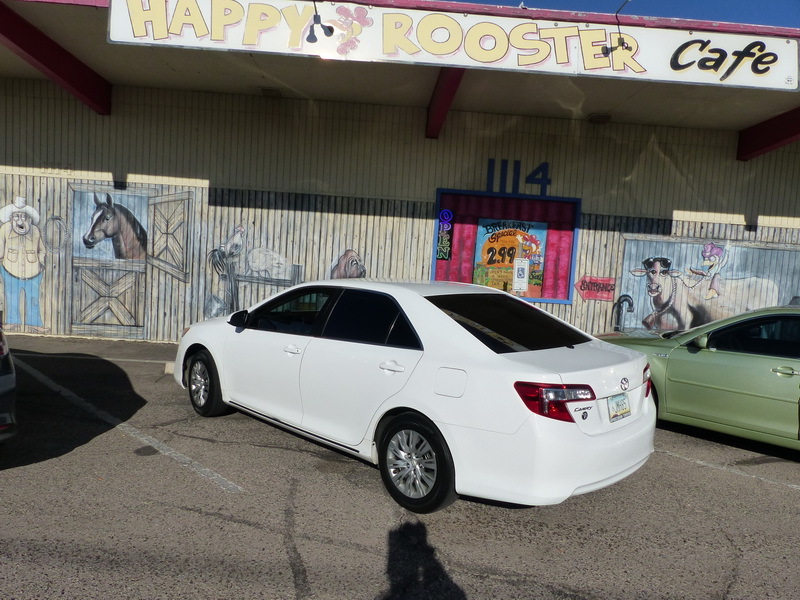 On Tuesday November 27th we met for our monthly dinner ride @ Trident Grill III on S. Craycroft. 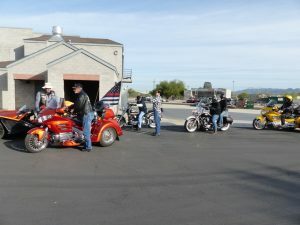 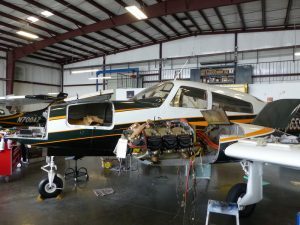 A total of SIXTEEN members, family, and friends were able to make this ride. 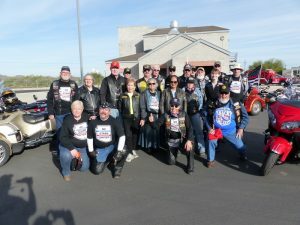 Making the ride were Stan & Patti T, Bill & Antji C, Mel & Marsha T, friends Bill G & Lois C, Bruce & Bonnie D, John C, Gary A, Bob & Debbie W who are visiting for the winter from BK OR II, our NEWEST member Ellice (Tom) & Rebecca T who just moved here from the Cleveland Area BK OH IX, and of course yours truly. Here are a few pictures of those in attendance. 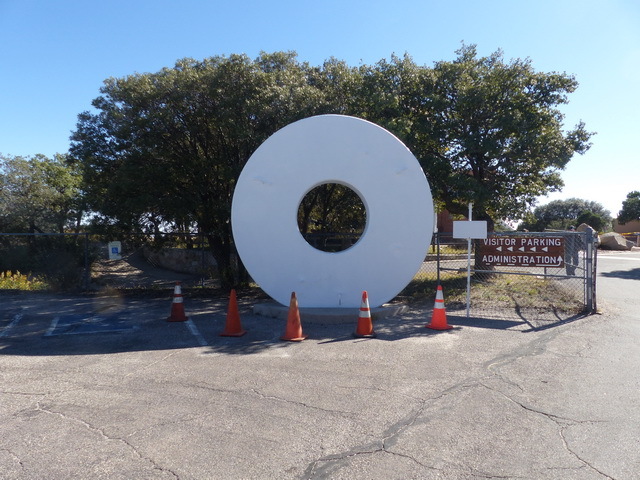 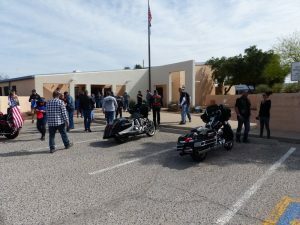 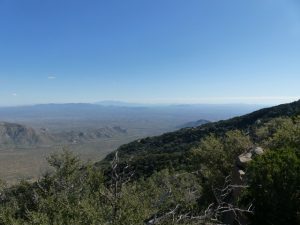 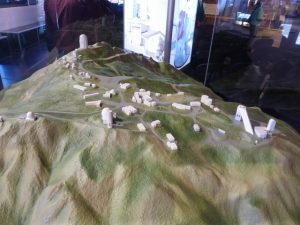 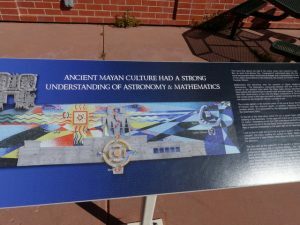 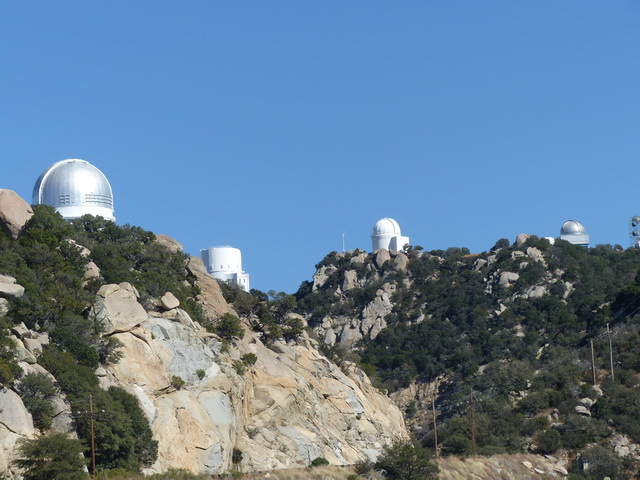 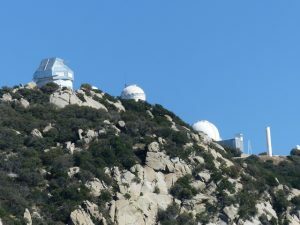 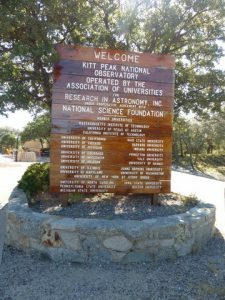 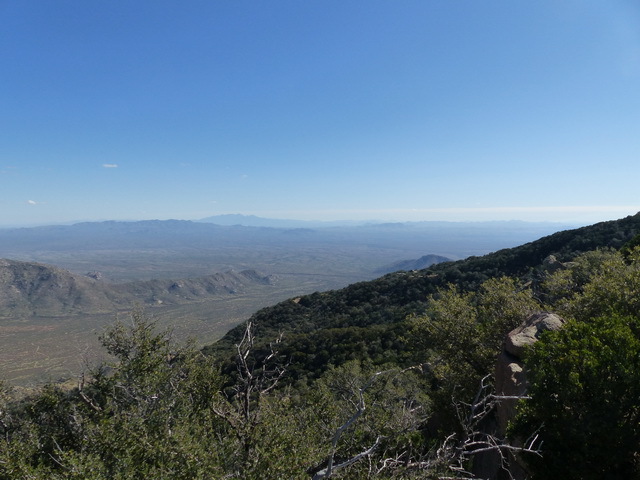 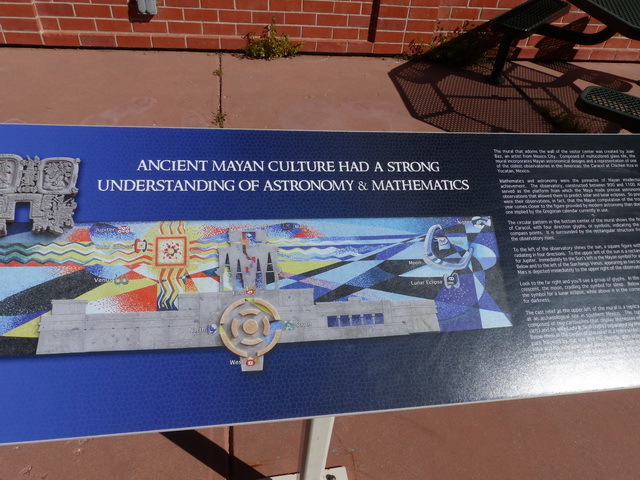 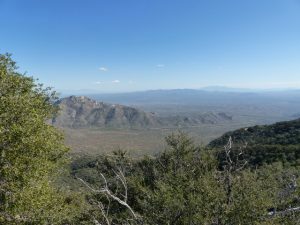 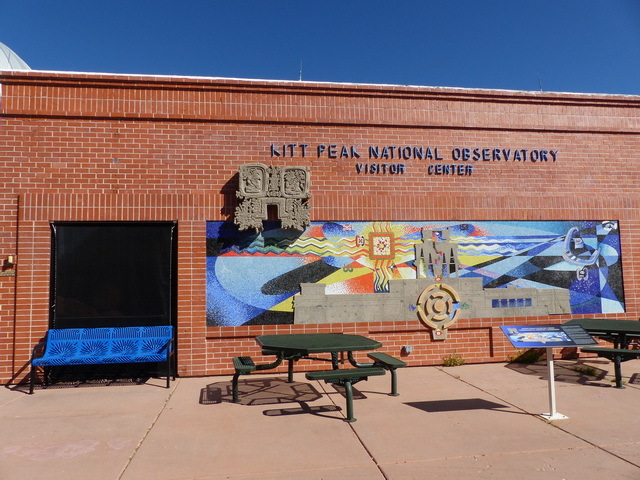 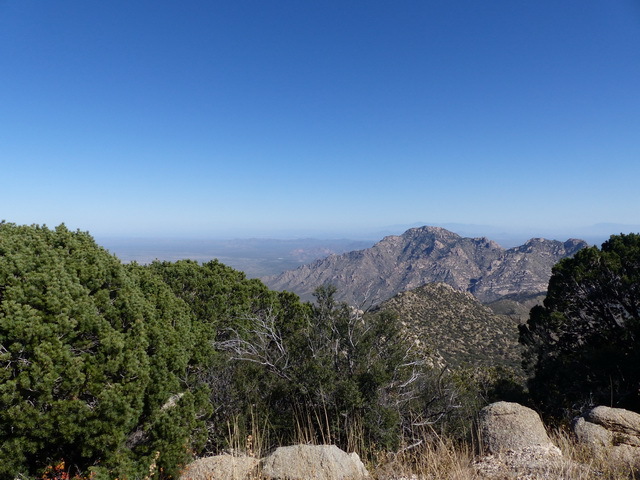 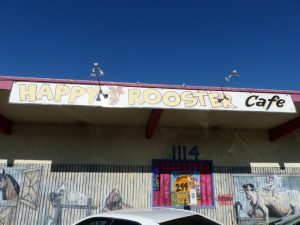 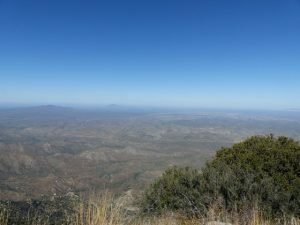 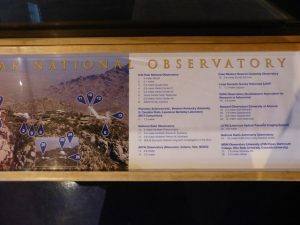 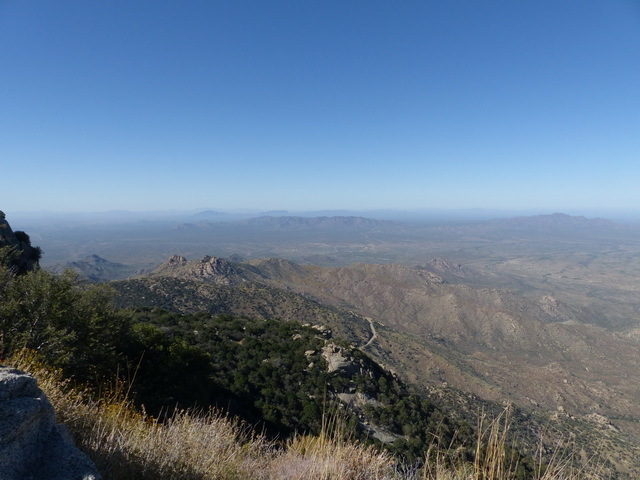 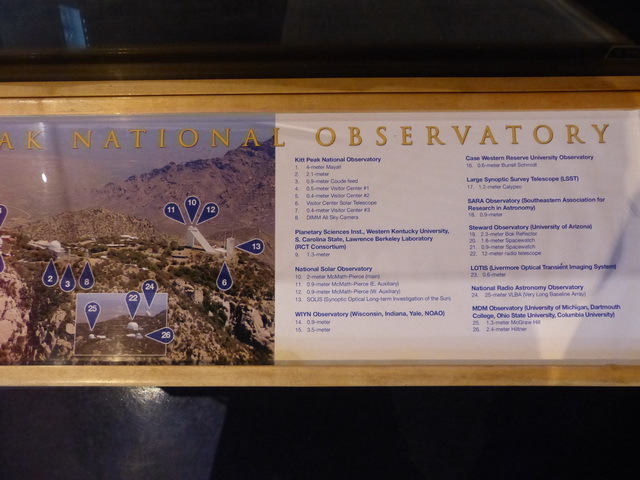 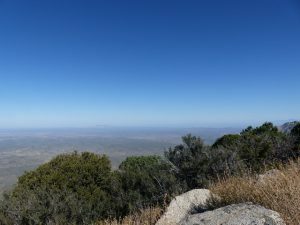 After our monthly breakfast ride for November I had scheduled a ride to Kitt Peak for those interested. However the only people who made the ride were myself, Lois C, Bill G, and Don L. We had a wonderful day for a ride and a total of 152 miles for me that day. Here are a few pictures from the ride.